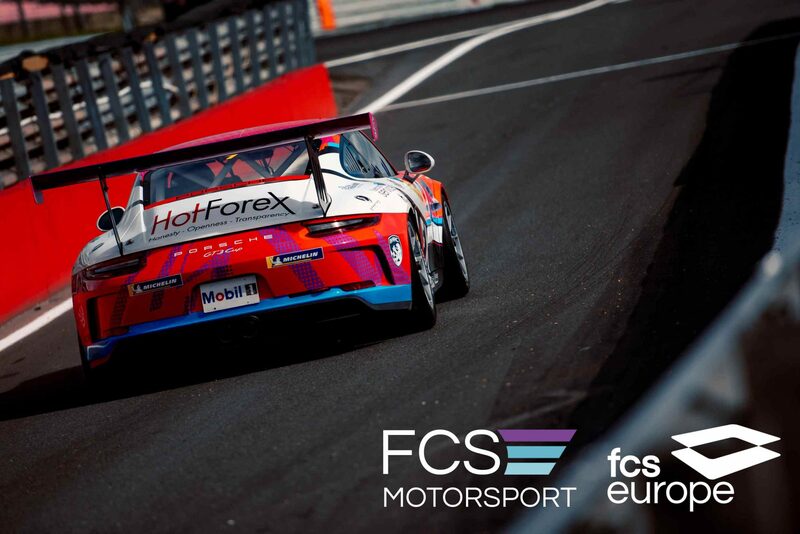 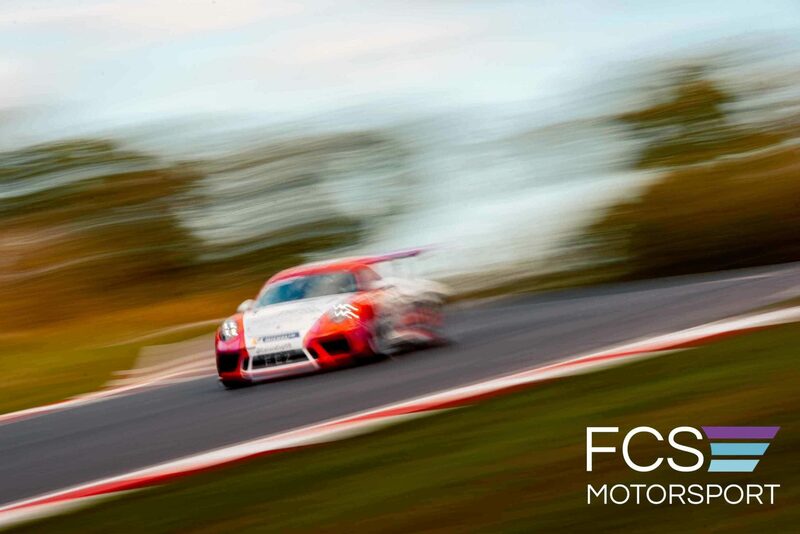 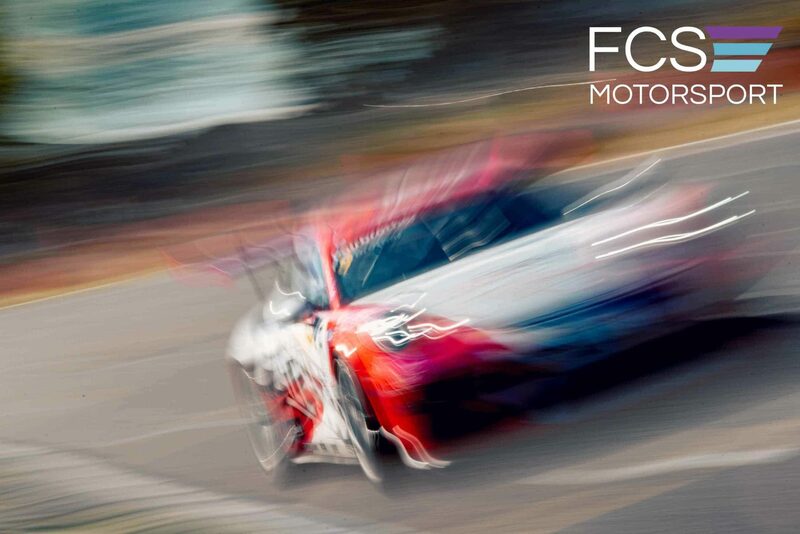 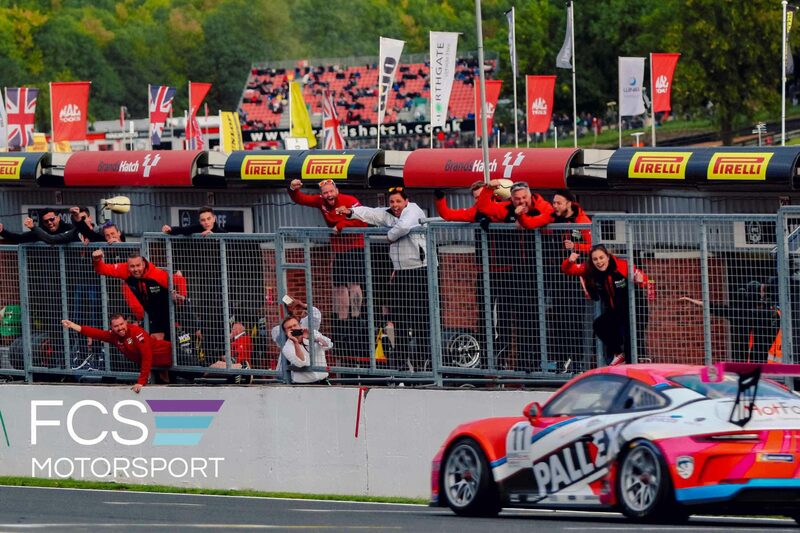 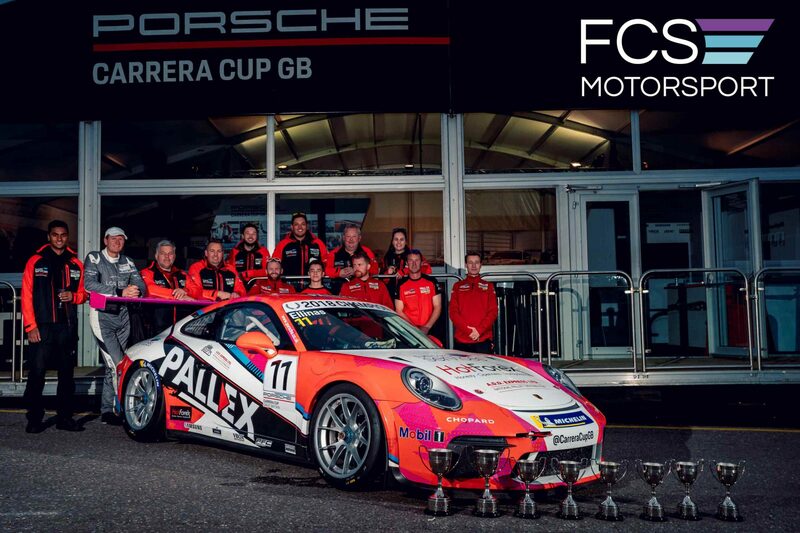 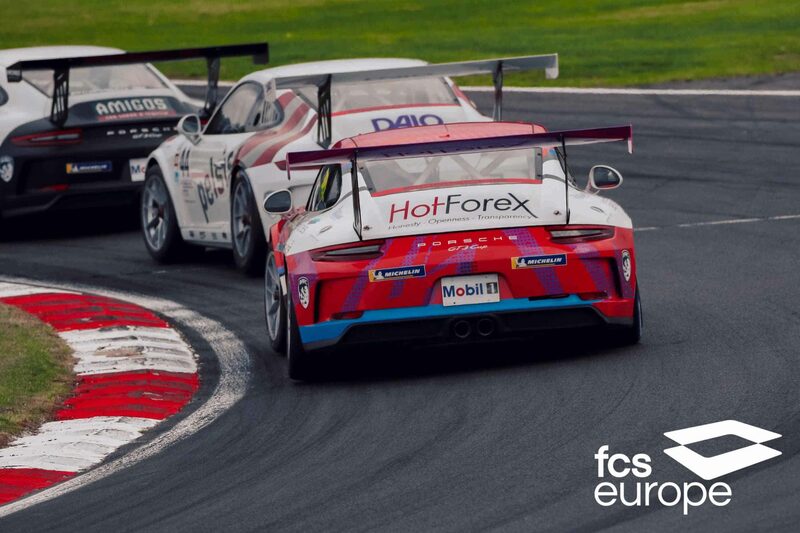 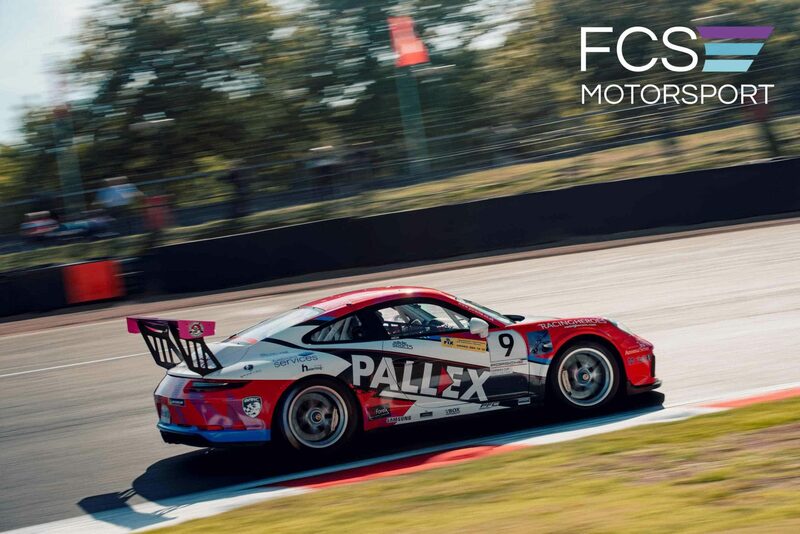 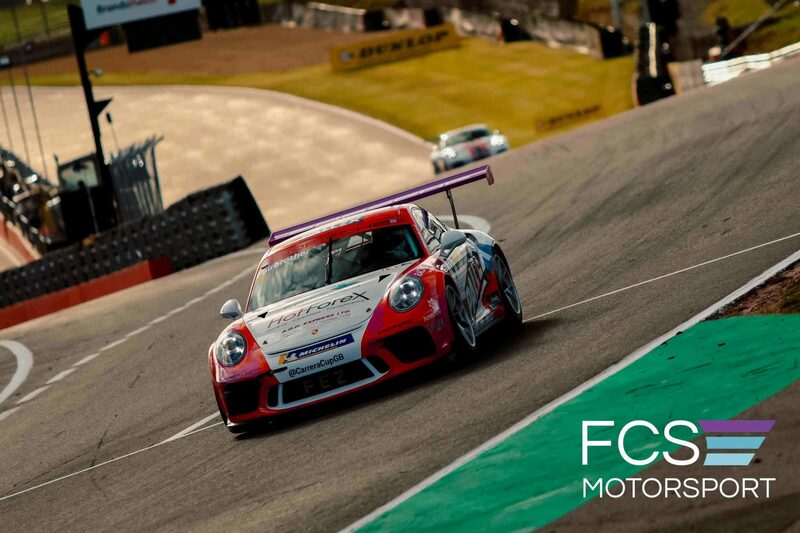 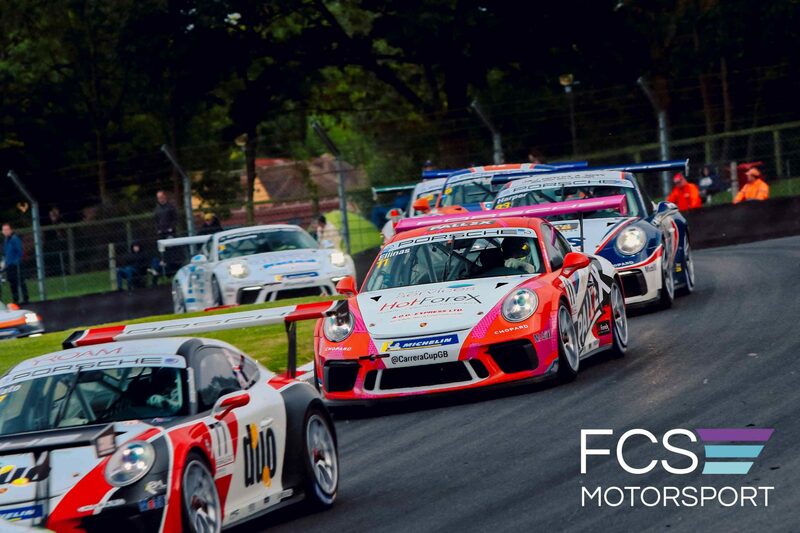 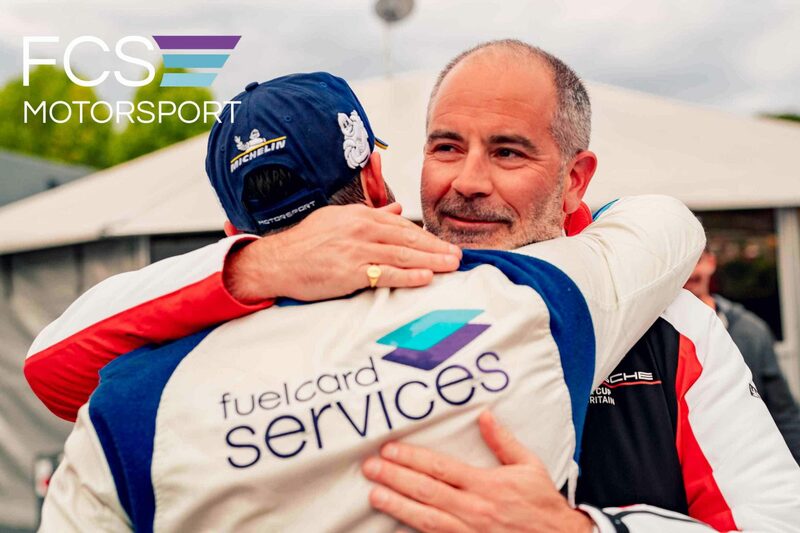 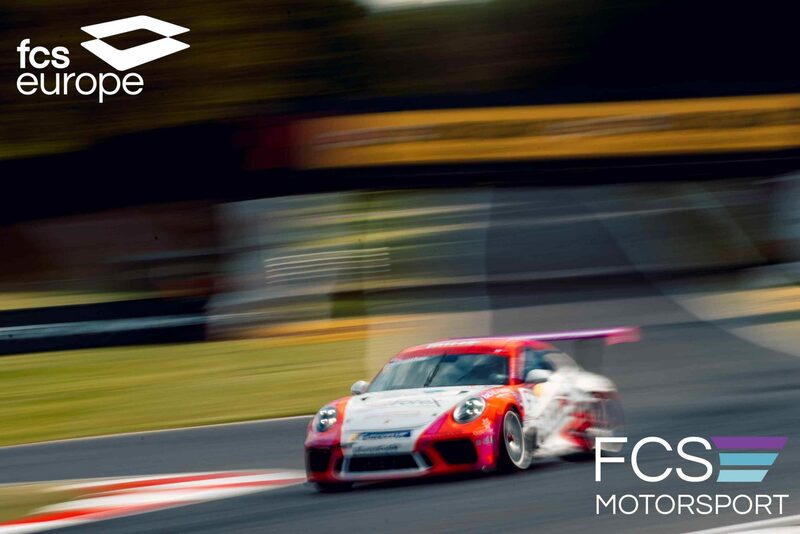 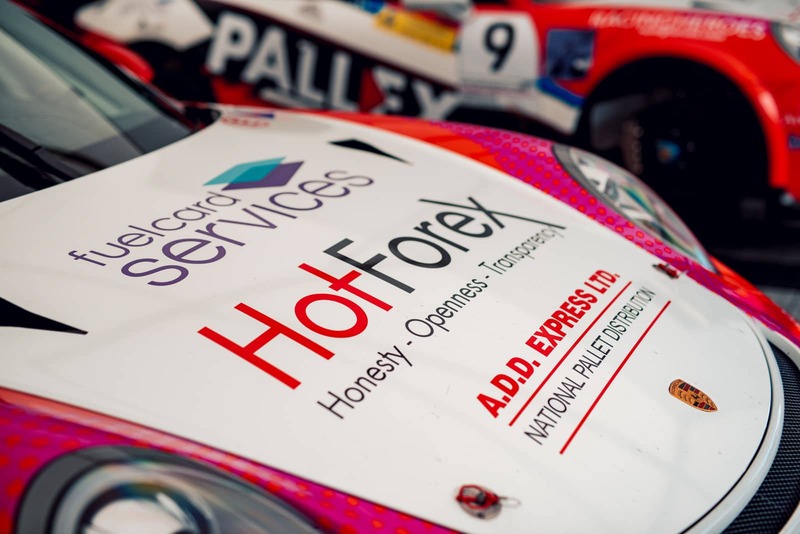 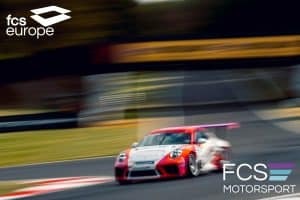 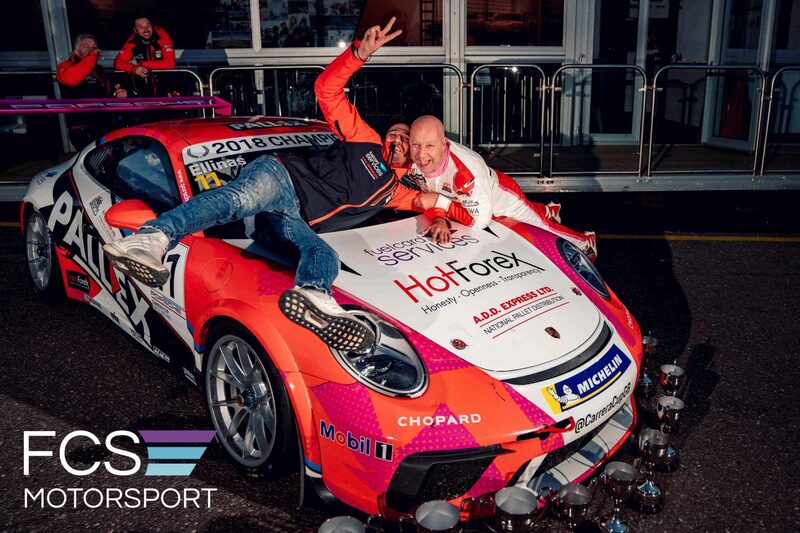 Fuel Card Services are proud sponsors of three cars in the Porsche Carrera Cup Great Britain. 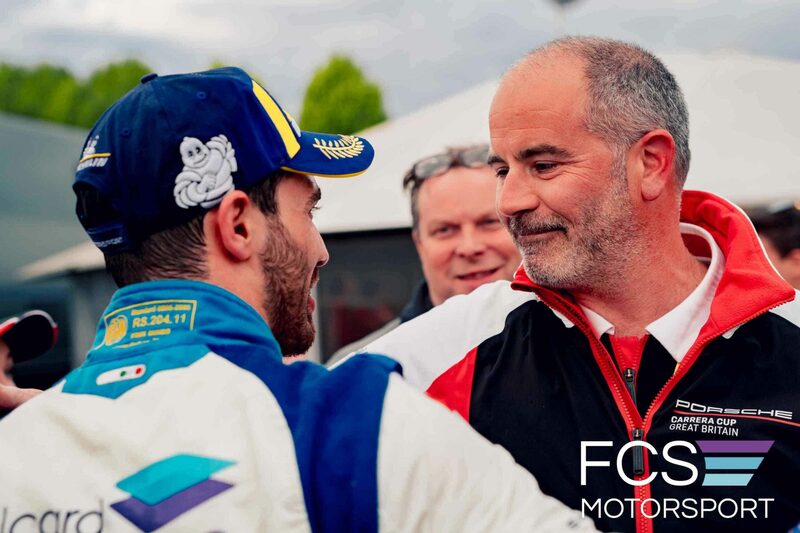 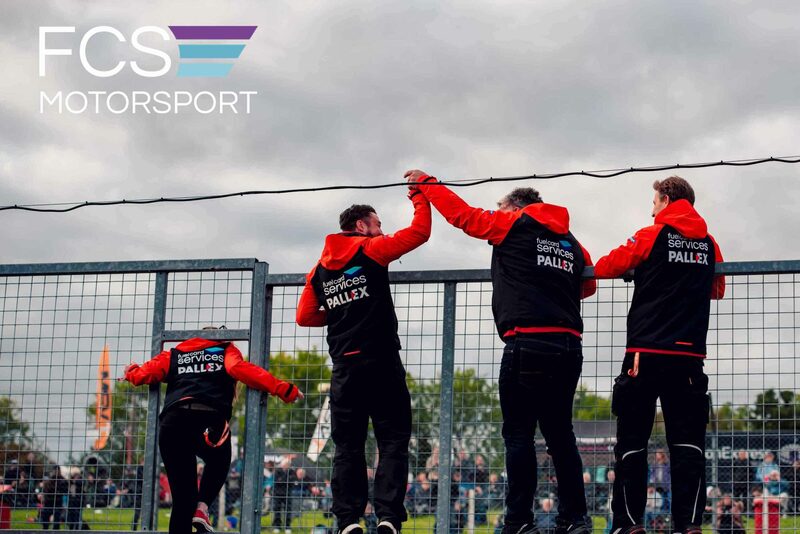 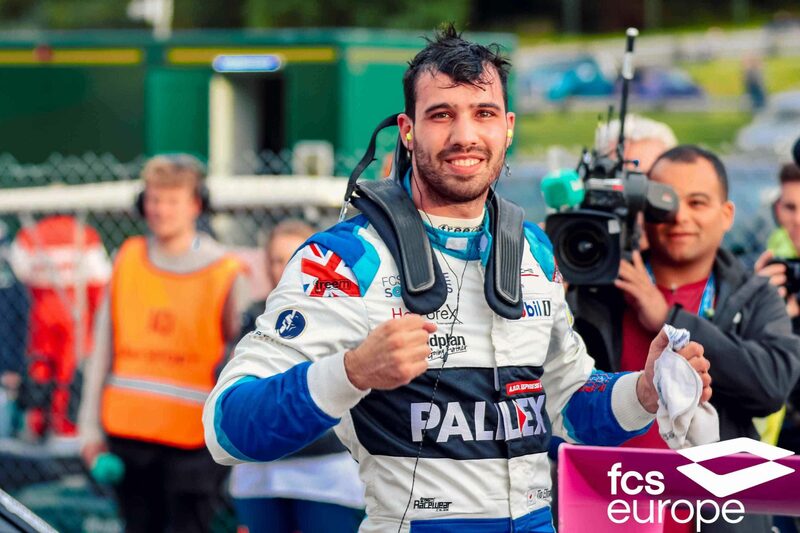 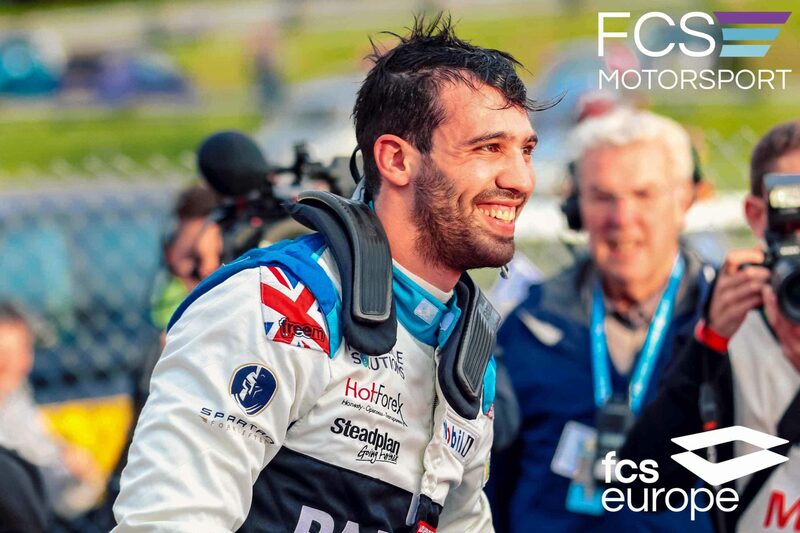 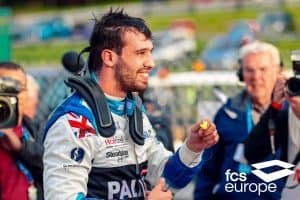 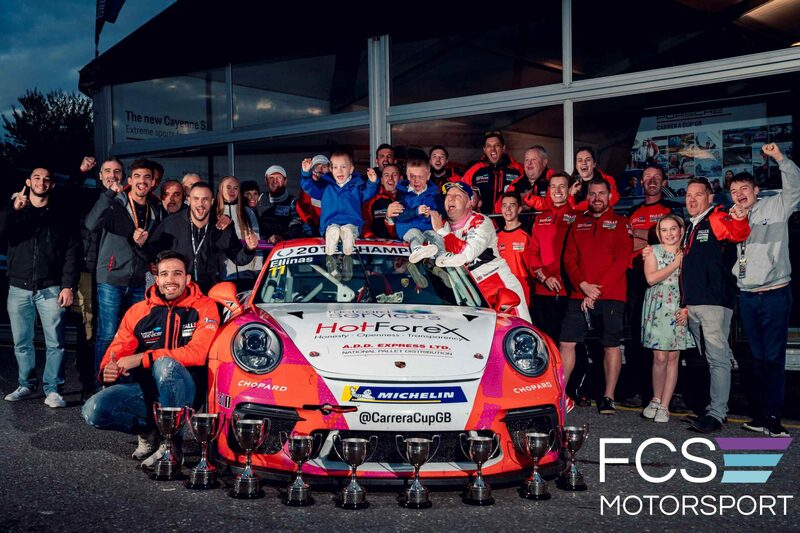 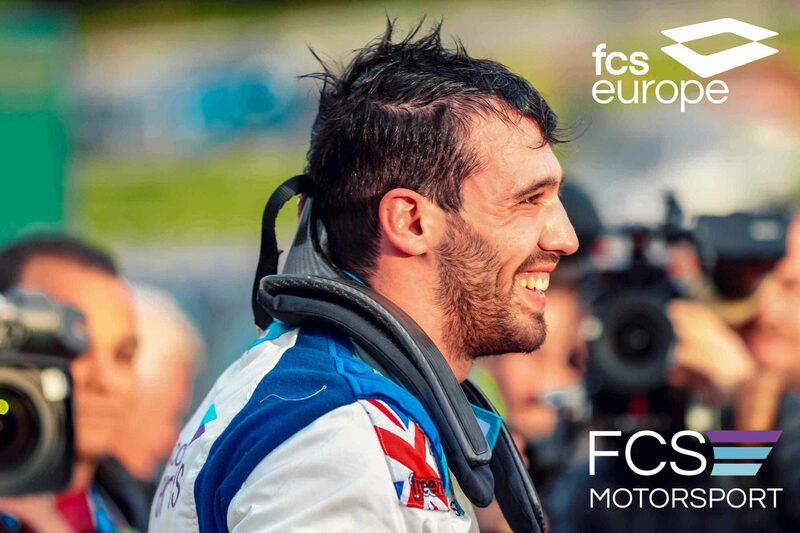 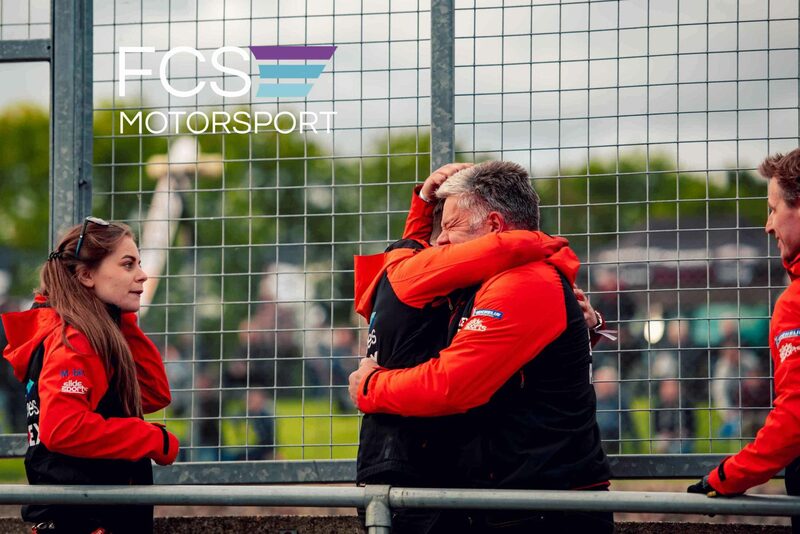 With 2 drivers across 2 classifications in the fastest one-make championship in the UK, there’s plenty going on and you can follow all the latest news and action right here. he Carrera Cup is a superb springboard for driving talent with an unenviable position of vaulting drivers into paid factory drives. 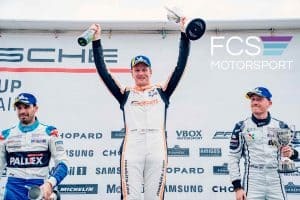 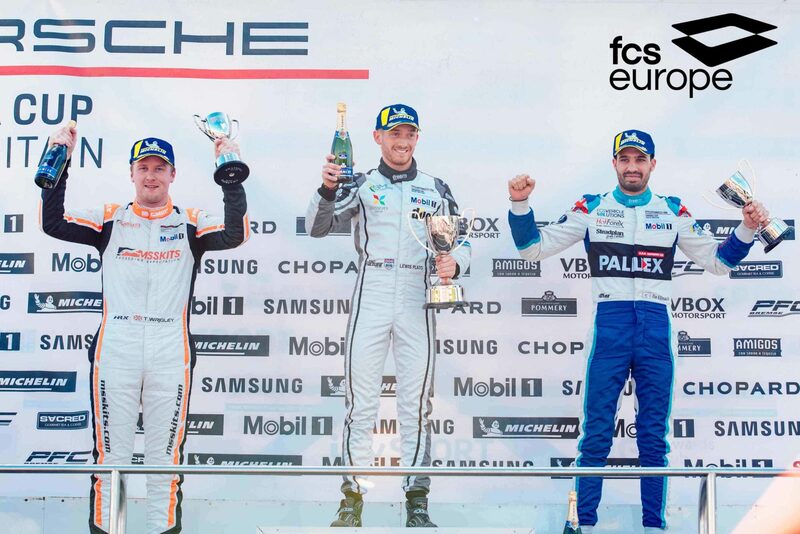 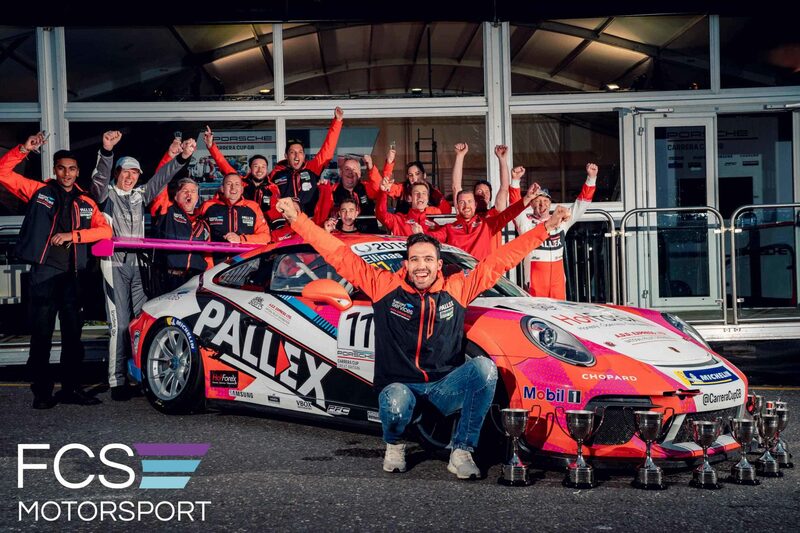 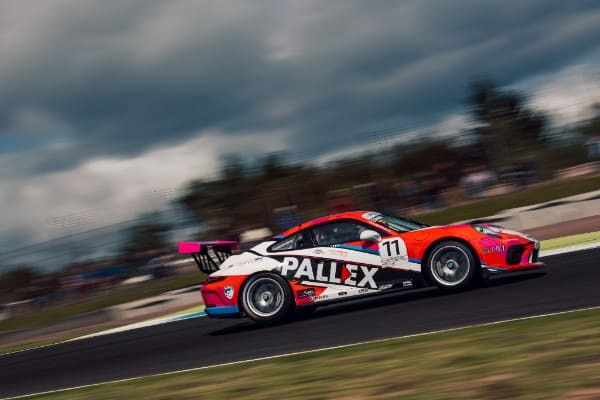 Recent Le Mans 24 Hours winners Earl Bamber and Nick Tandy are prime examples of how the Carrera Cup has steered the careers of racing talent. 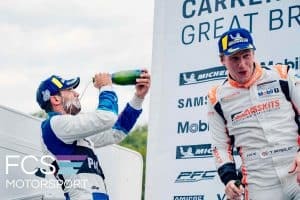 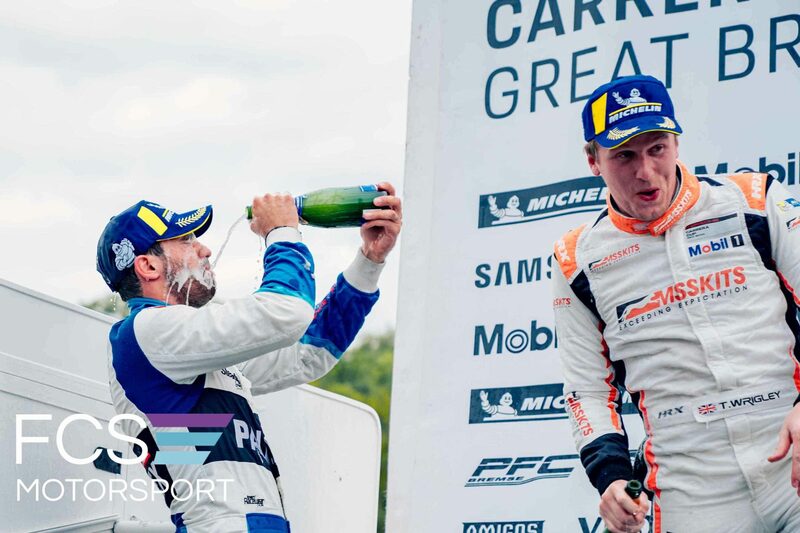 Sportscar stars Richard Westbrook, Ben Barker and Damien Faulkner, as well as BTCC stars Sam Tordoff, Liam Griffin and Daniel Lloyd have all graduated from the ranks. 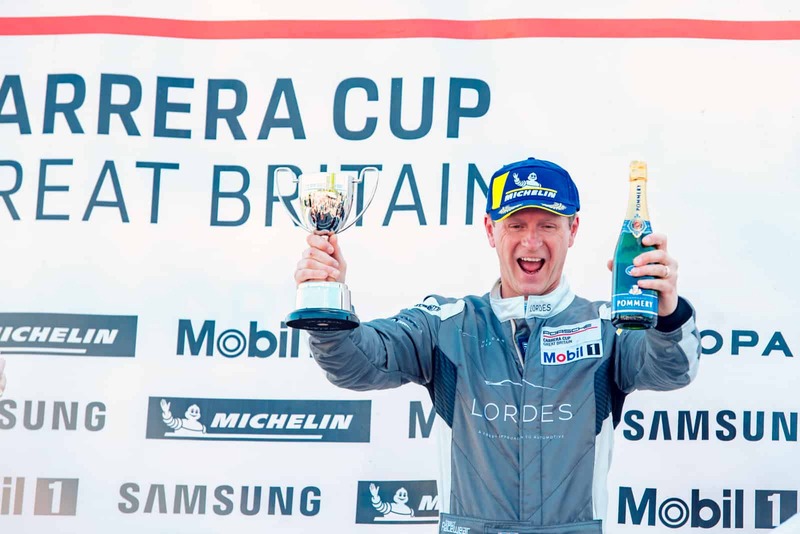 Other names to have clinched the championship include 1992 BTCC champion Tim Harvey, who won the one-make series in both 2008 and 2010. 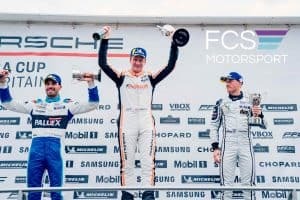 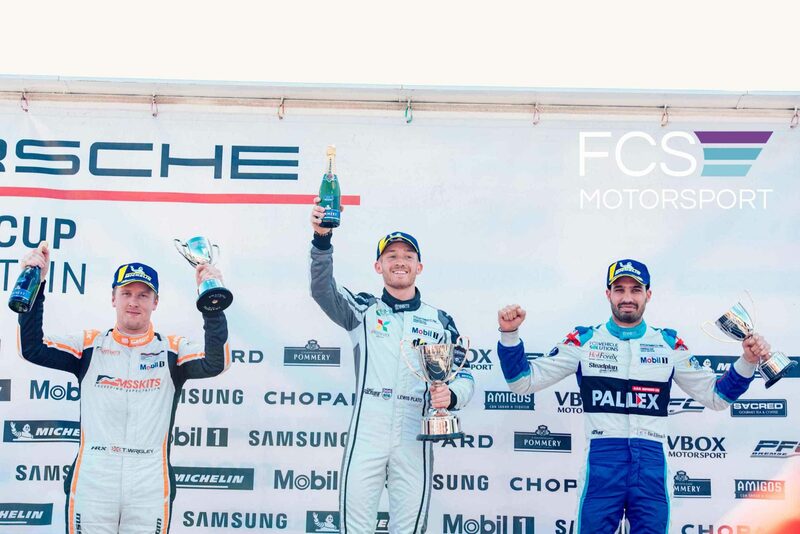 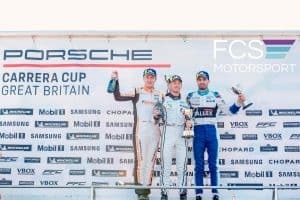 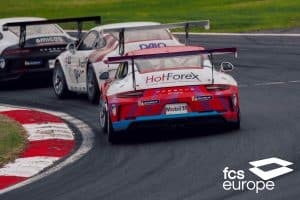 It is this unique mix that ensures the Porsche Carrera Cup Great Britain is a mainstay of the UK Motor sport paddock, continuing to attract top line drivers, teams and commercial partners. 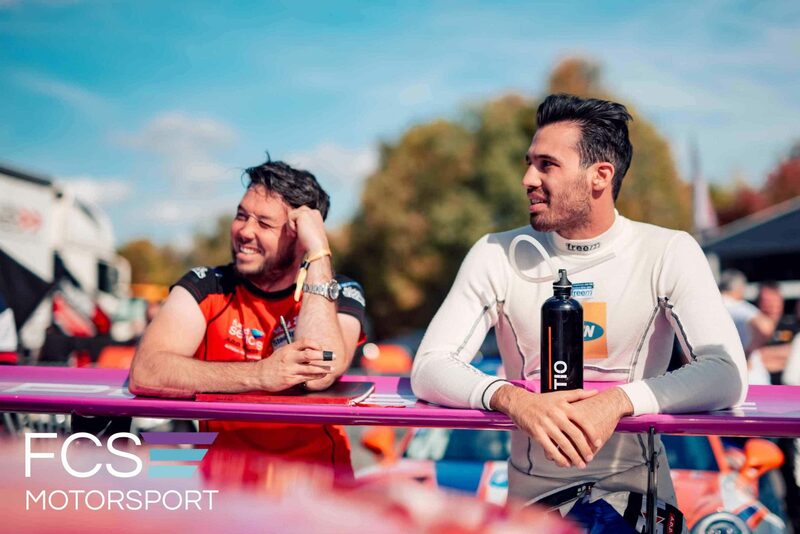 Only able to qualify in sixth place on Saturday afternoon, things looked bleak for Tio’s chances. 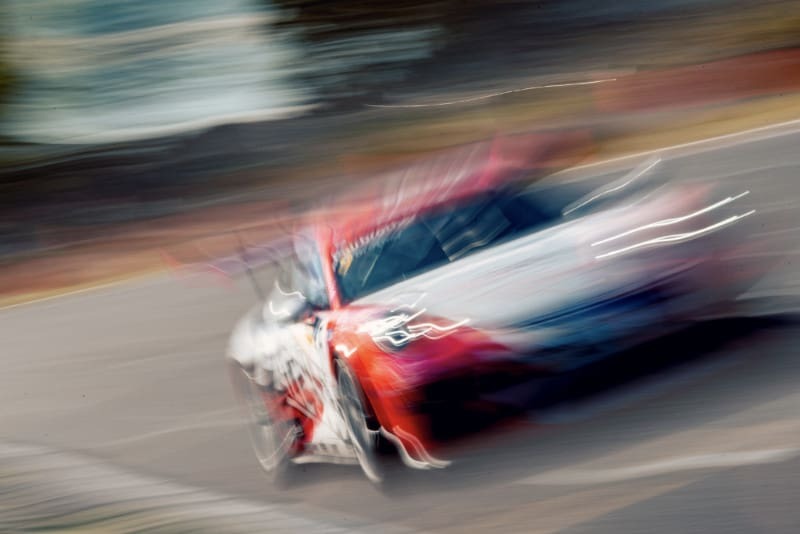 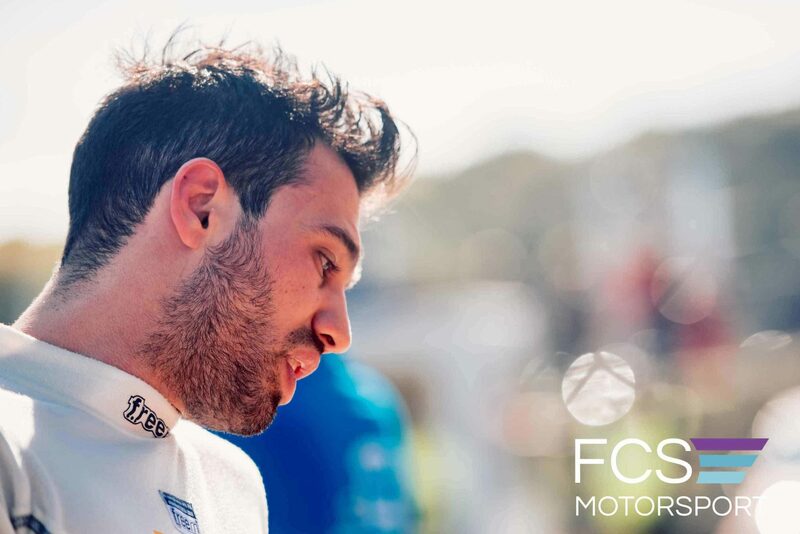 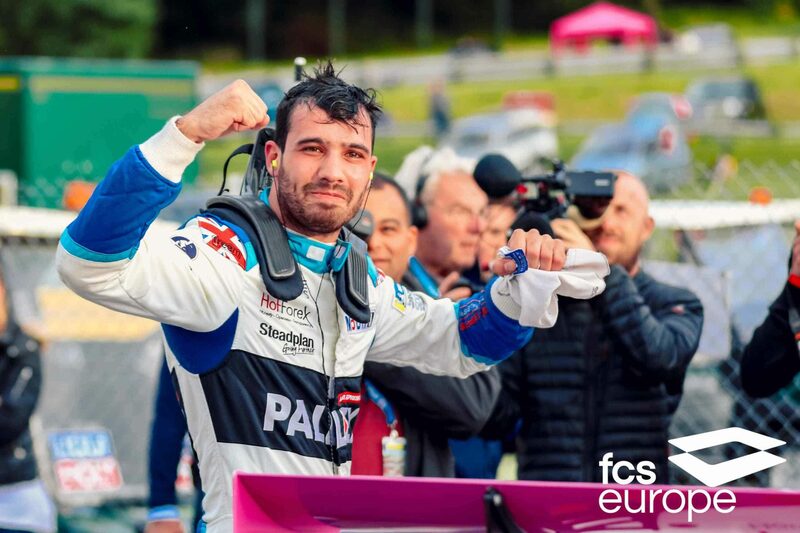 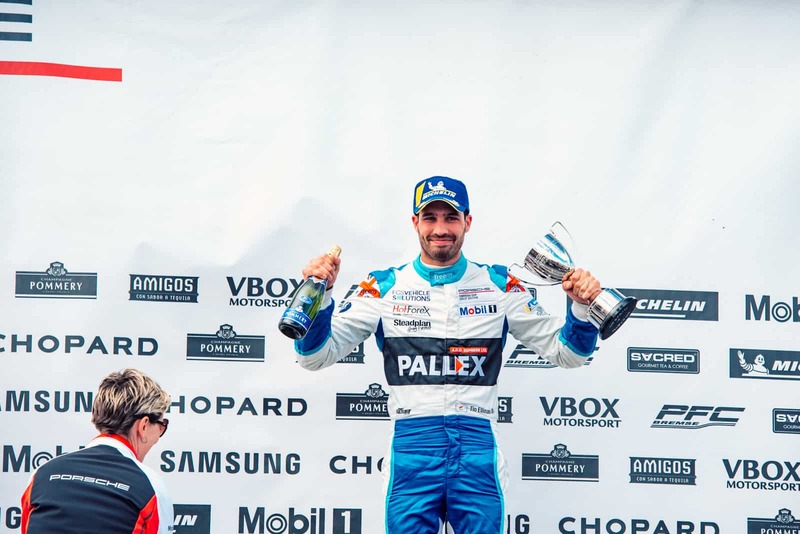 However, Zamparelli lost control of his car on coolant dropped by another entrant while leading race one and fell to the rear of the field, meaning Tio’s third place put the pair level on points going into the final contest of the year. 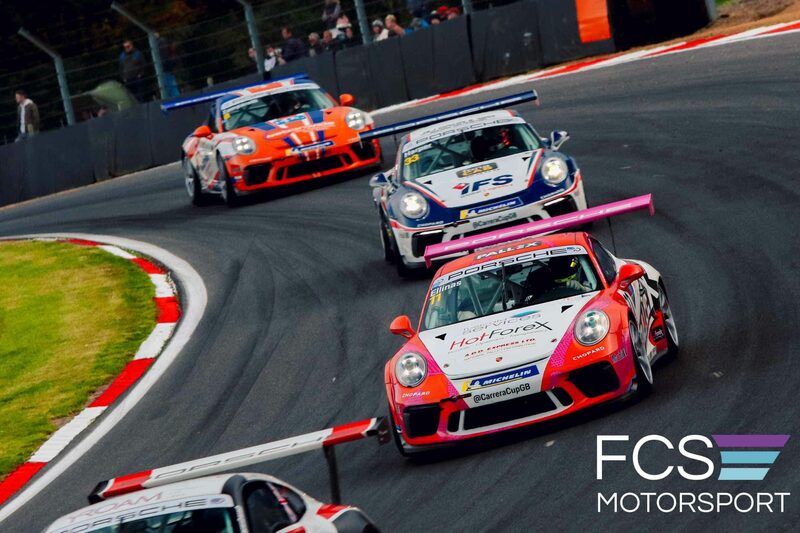 Starting fifth for that race, Tio did well to avoid a spin from pole-sitter Michael Caine and attempted to take second place from Tom Jackson before being pushed wide and falling back to fourth. 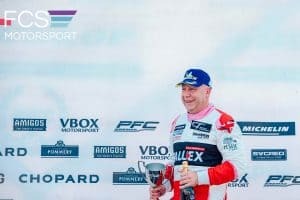 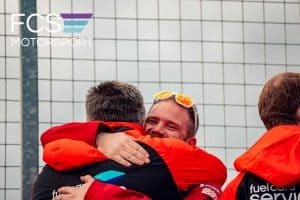 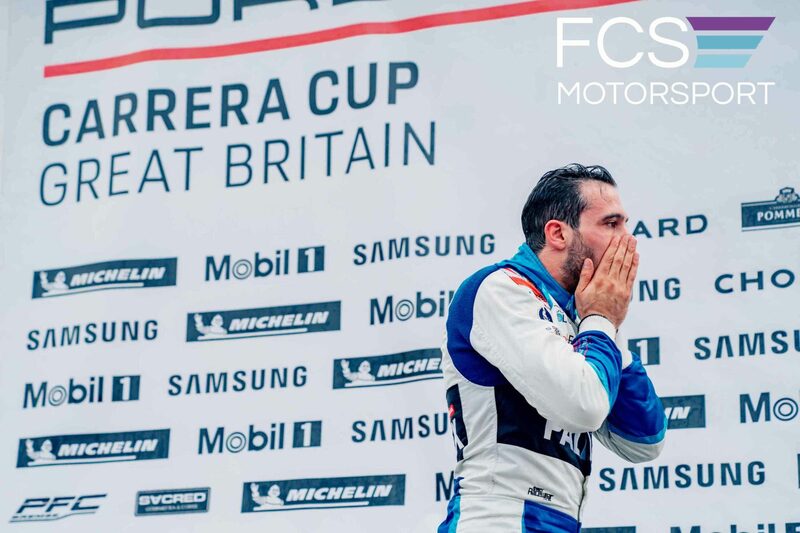 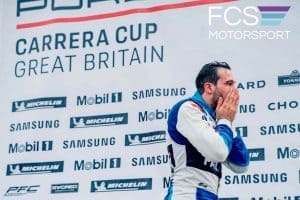 He kept calm and patiently waited for his moment to pass Jackson later in the race however, to score a second podium and claim an emotional championship victory. 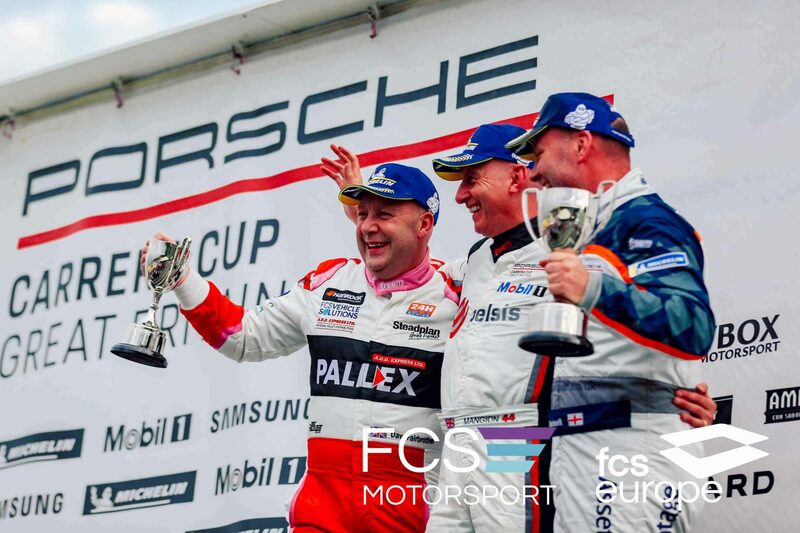 It was also a weekend of success for DVF Racing’s David Fairbrother and Richard Hawken in the Am category. 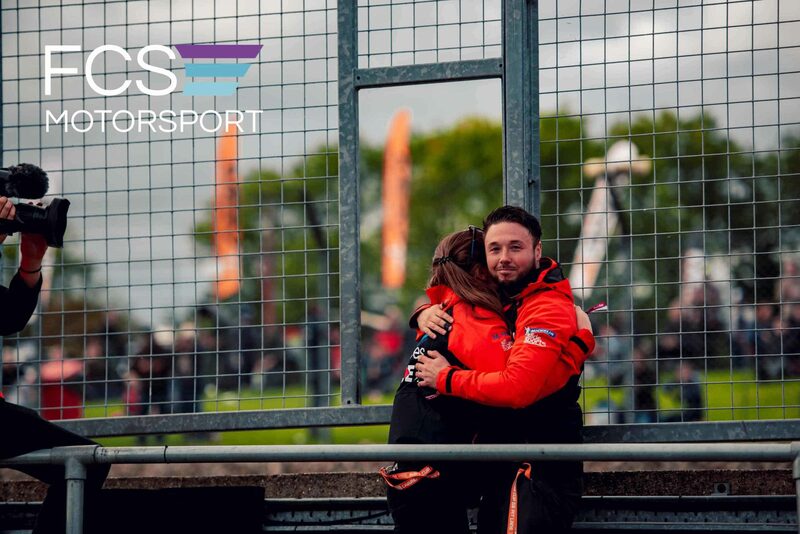 Capping a sweet return after missing several races this season, David finished second in race one and held off late pressure from Richard in race two to claim third. 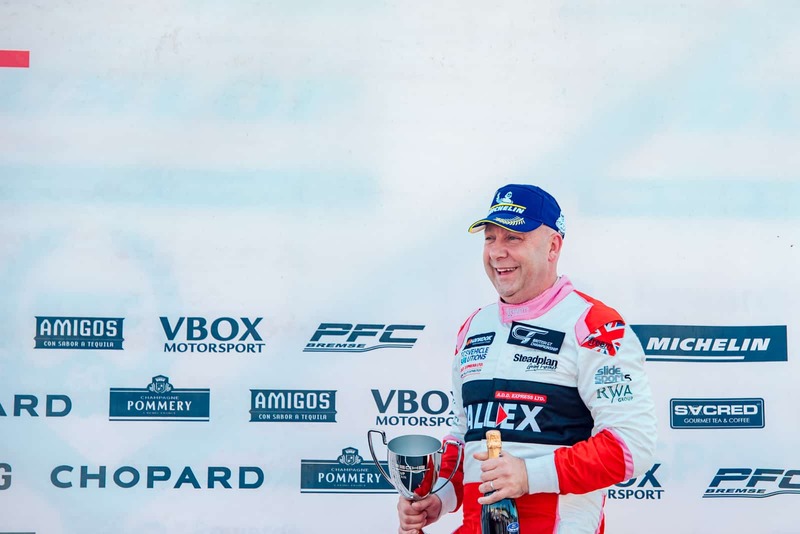 Richard didn’t leave empty-handed though, as he repeated his result in the season-opener at his local circuit, with a third place in race one. 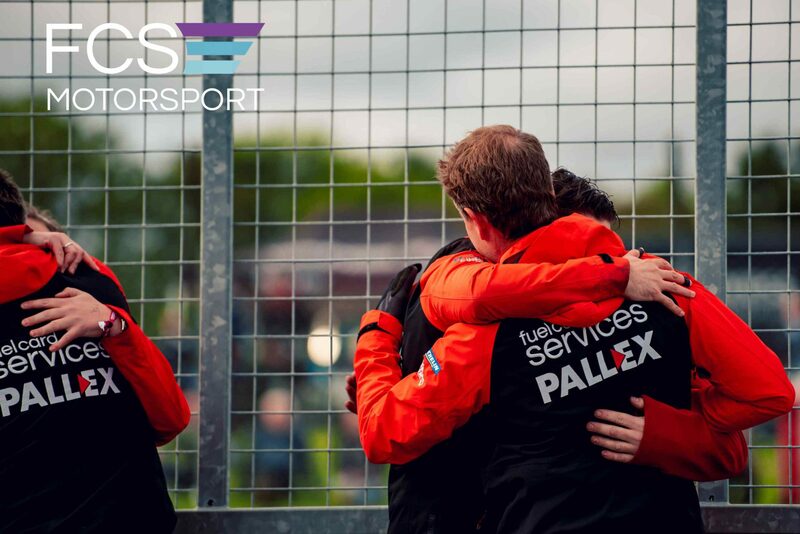 “If there was ever a team that was powered by passion it is Slidesports. 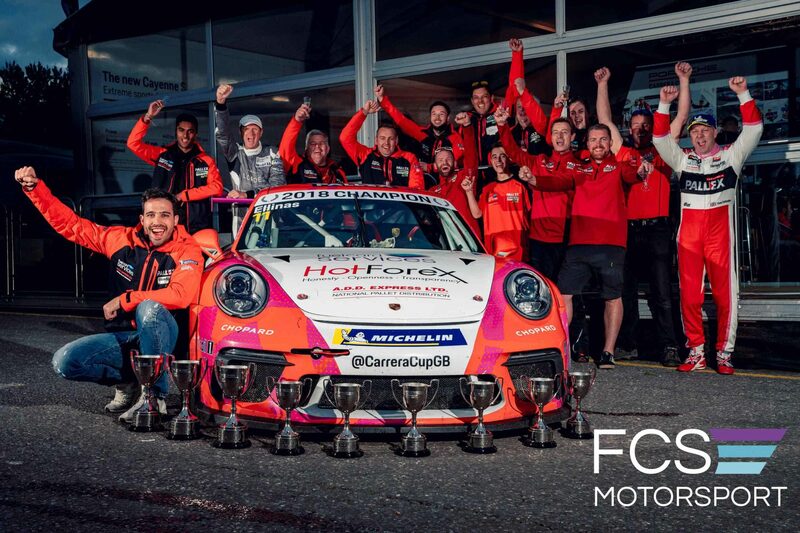 DVF Racing never lost its belief, focus, and direction with us. It was an impressive performance by even more impressive individuals, and that is the definition of teamwork. 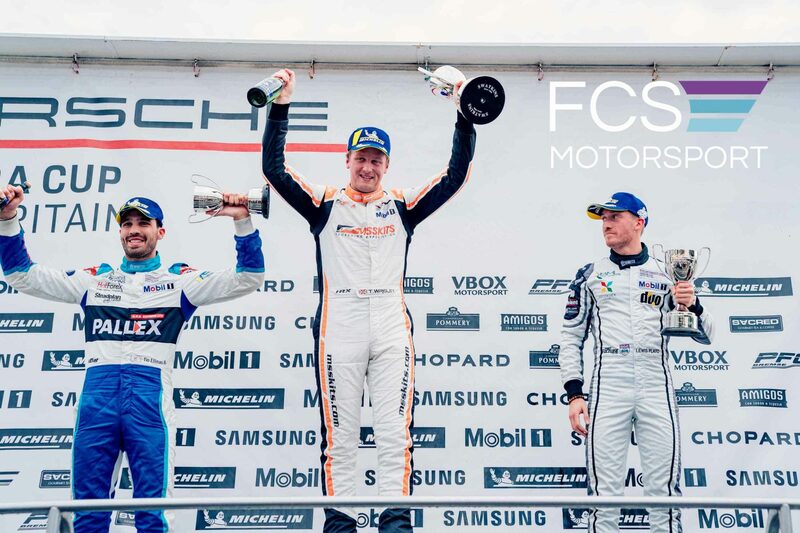 We have to let our results do the talking: five podiums, driver of the weekend, and team of the weekend. 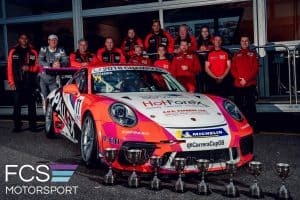 DVF Racing made a promising debut in the British GT Championship at Donington Park as David Fairbrother made his first start in the series alongside multiple British Touring Car Championship race inner Adam Morgan, who made his second appearance some seven years after a one-off drive at Oulton Park. 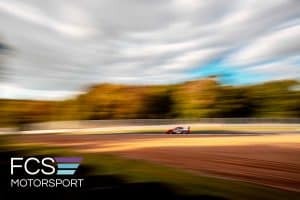 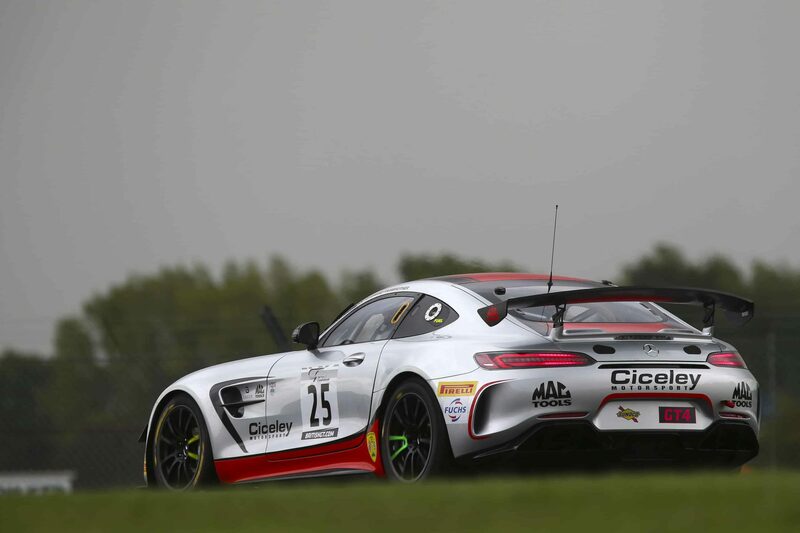 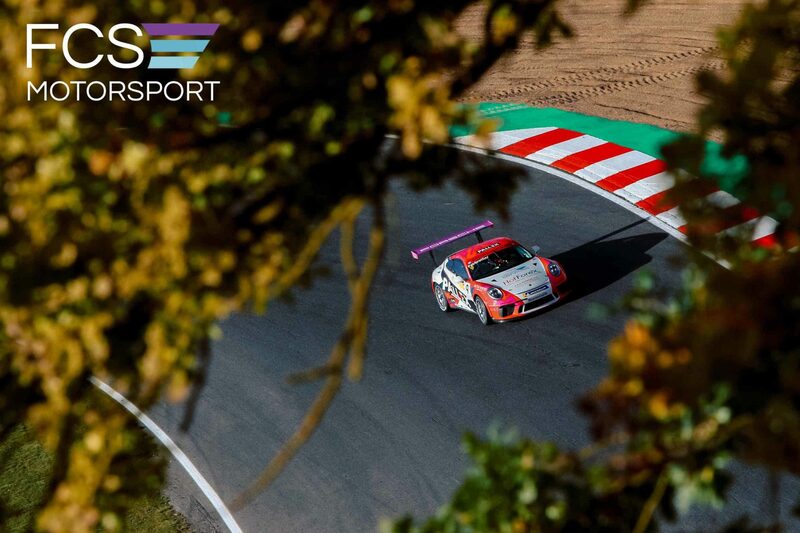 The pair competed in a brand-new Mercedes-AMG GT4, run by Adam’s BTCC outfit Ciceley Motorsport and were quickly up to speed, qualifying fourth in GT4 Pro-Am after a sterling effort by the touring car star to set the second-fastest time of anyone in his session. 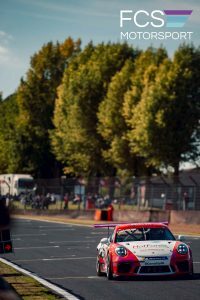 Porsche Carrera Cup GB racer David started the race but was unlucky on lap two as he lost control through the Fogarty Esses and was unable to get the car out of the gravel without assistance. 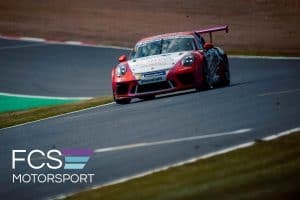 This dropped the car back some six laps from the rest of the GT4 Pro-Am runners and out of contention for a podium finish. 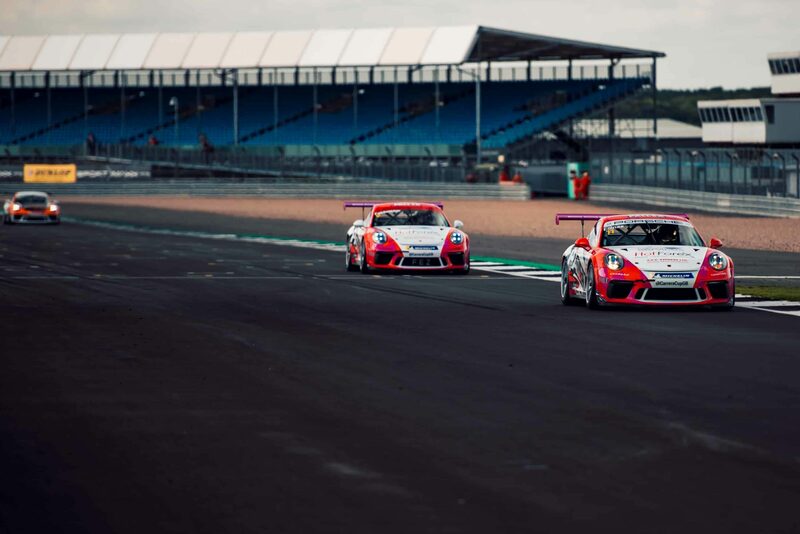 Despite the setback, both drivers pushed on, with Adam setting lap times comparable to the class leaders and bringing the car across the line seventh in the two-hour contest. 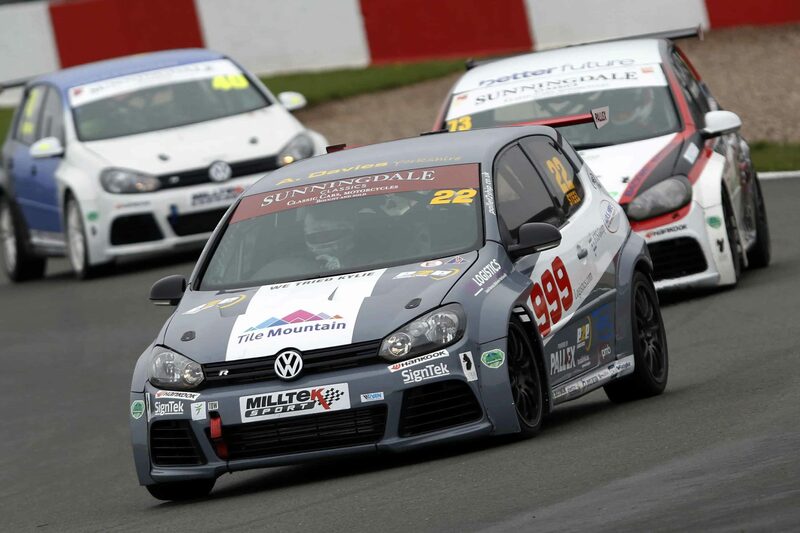 In the Volkswagen Racing Cup, Mark Steel capped a strong first season in his Slidesports Pall-Ex Golf, with pole position and victory in race two of the weekend. 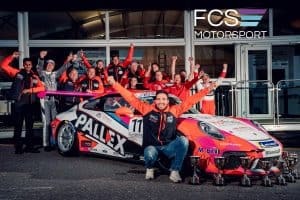 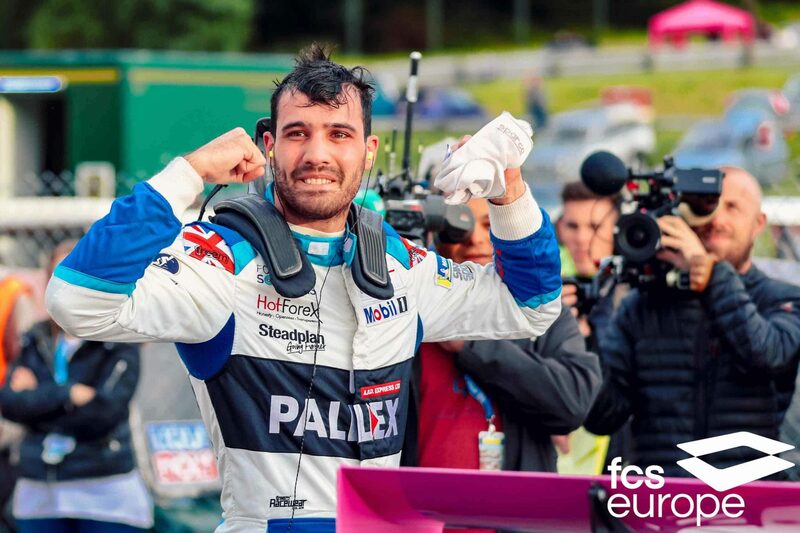 Unfortunately, after suffering the heartbreak of a gearbox failure in the first contest, he finished second in the championship standings by just 26 points. but is aiming to step up to the main class for 2019. 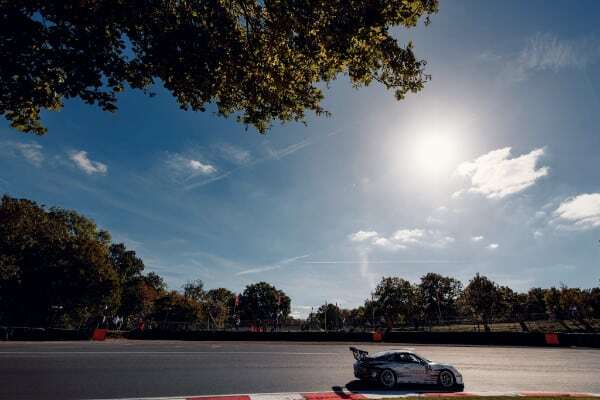 “It was a good day out. 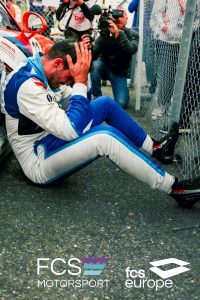 I had a really good start and was getting into my rhythm but going into the chicane I hit one kerb too hard, bounced onto the other, and spat the car around and into the gravel. 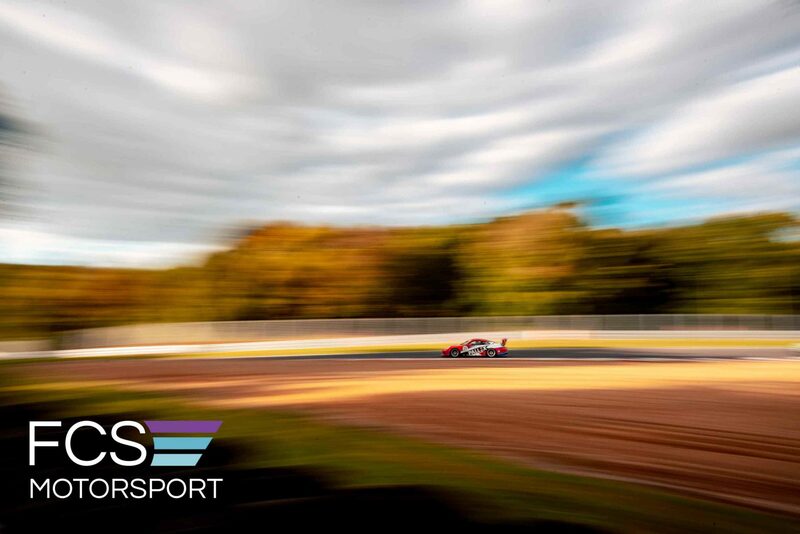 We lost six laps whilst in there and from then were on the back foot. 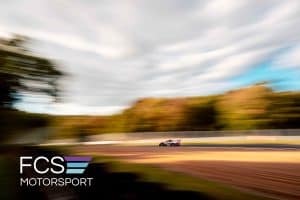 It’s a learning curve but if you think that 36 hours before I had never even sat in the car, it is a testament to the Mercedes: it’s a great car to drive. 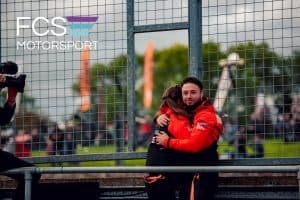 “Both Adam and I have come out of sprint racing and we both love a kerb, so a drive-through penalty was going to be likely! Both of us run the kerbs and fire the car out of the corner whereas these guys carry a lot of corner speed and propel the cars down the straight. Maybe next time we have to do a bit more homework and testing! 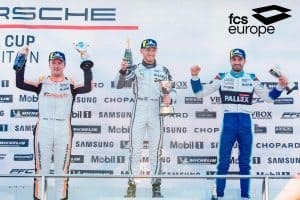 “It was a tale of two days. 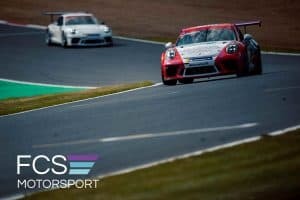 I qualified well on Saturday despite never having run on the full GP circuit. 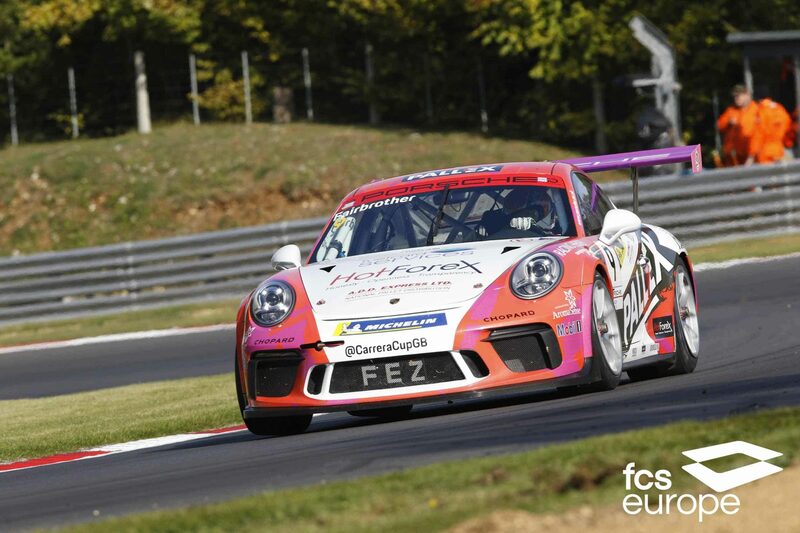 Goddards was challenging but I qualified on pole by 0.6s. 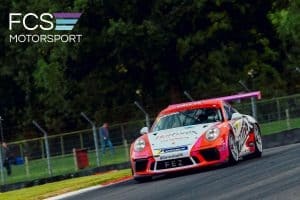 I went for a full dry set up in the race, but the gearbox gave up. 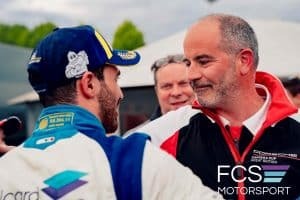 David is my mentor and he phoned me in the evening to check I was alright! 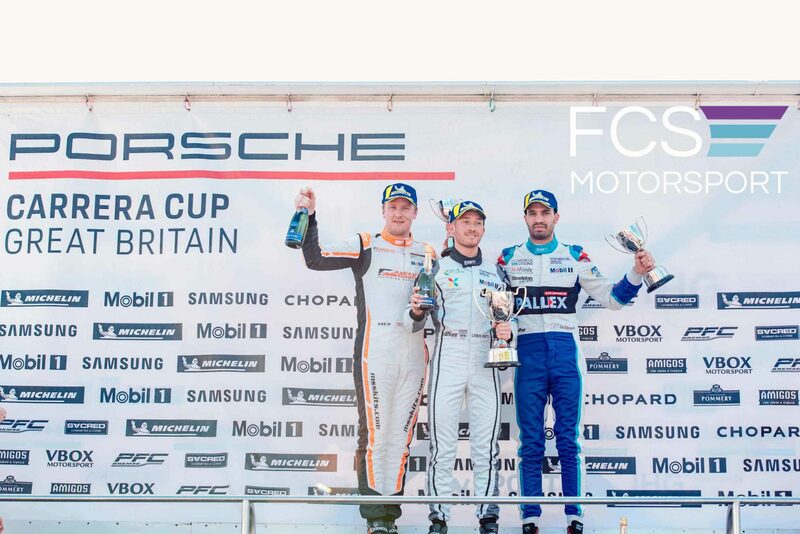 On Sunday it dried out and it worked for me, so I came home first in class. 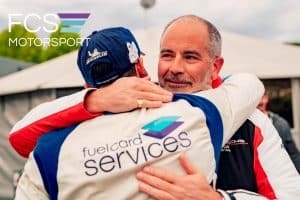 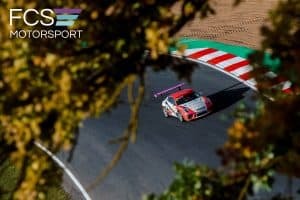 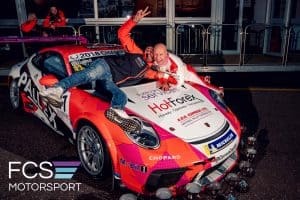 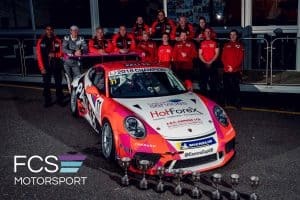 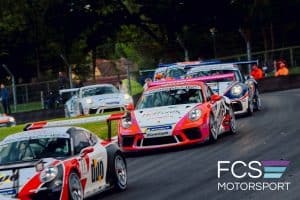 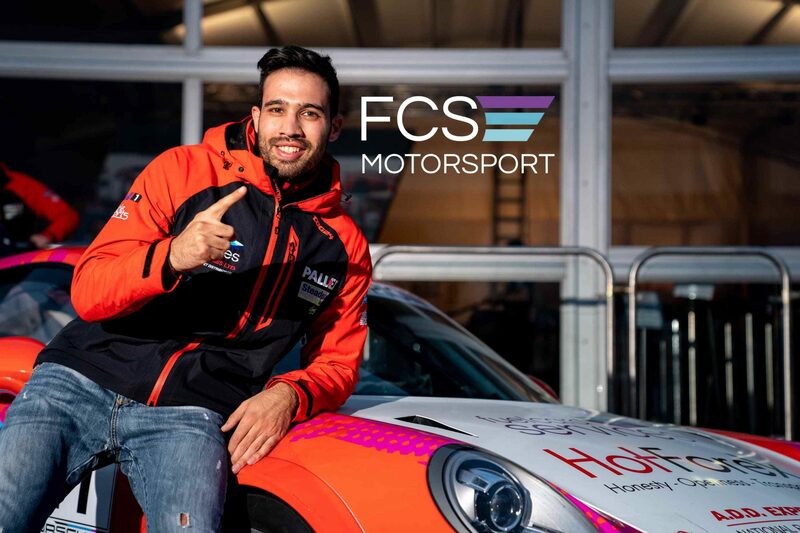 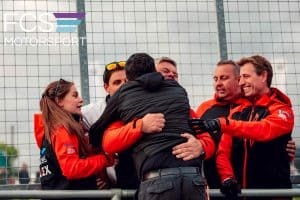 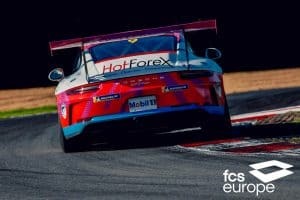 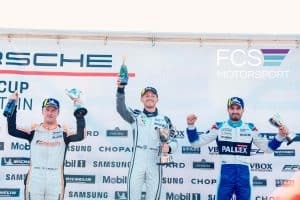 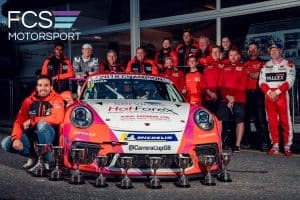 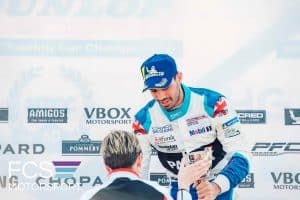 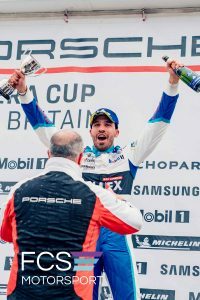 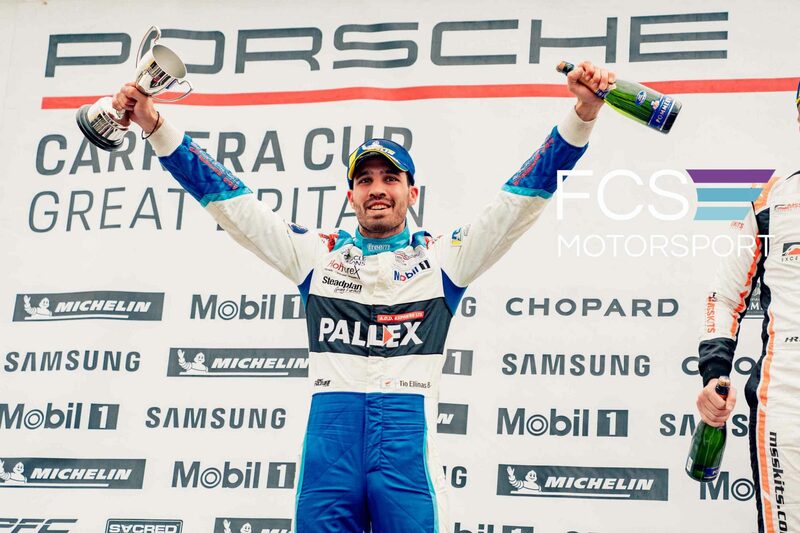 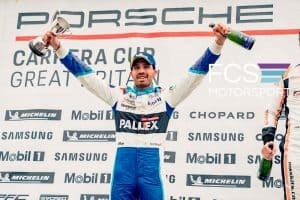 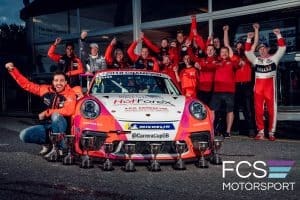 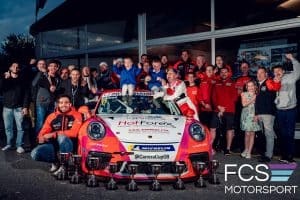 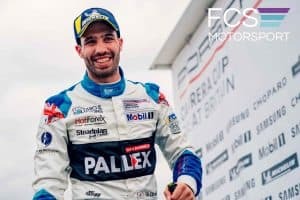 DVF Racing remains in the hunt for its first-ever Porsche Carrera Cup GB title as Tio Ellinas scored a second place in race one and recovered to an important fourth place later on Sunday afternoon, and is just eight points behind championship leader Dino Zamparelli with 22 on offer at Brands Hatch in a fortnight’s time. 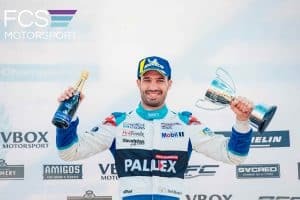 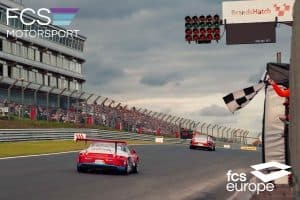 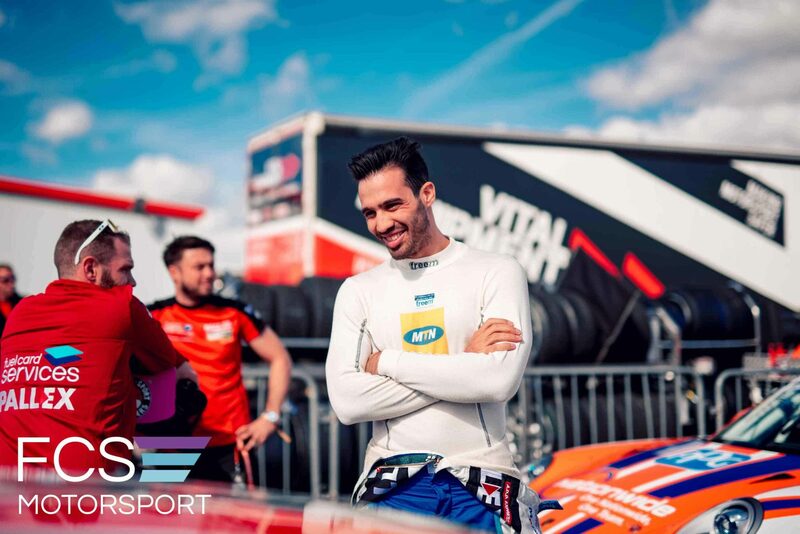 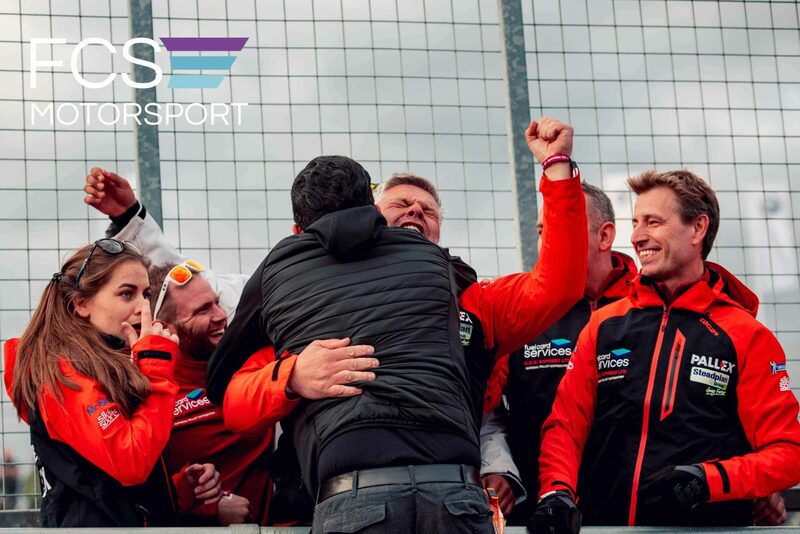 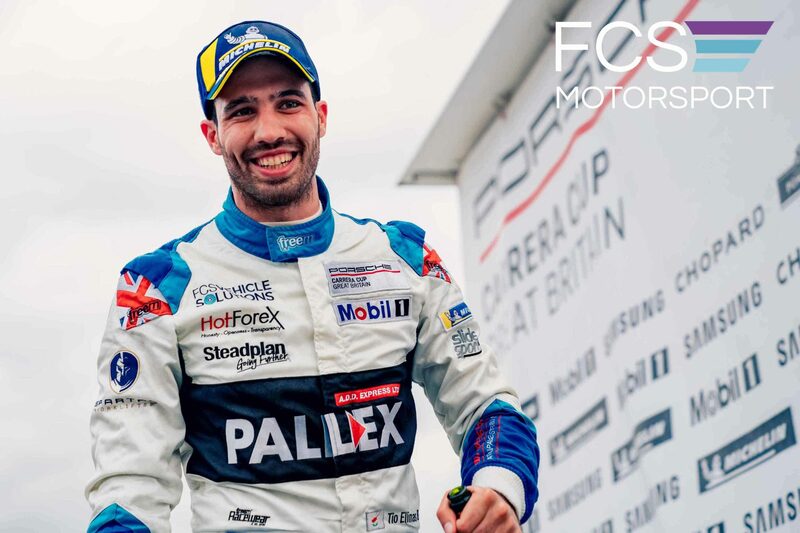 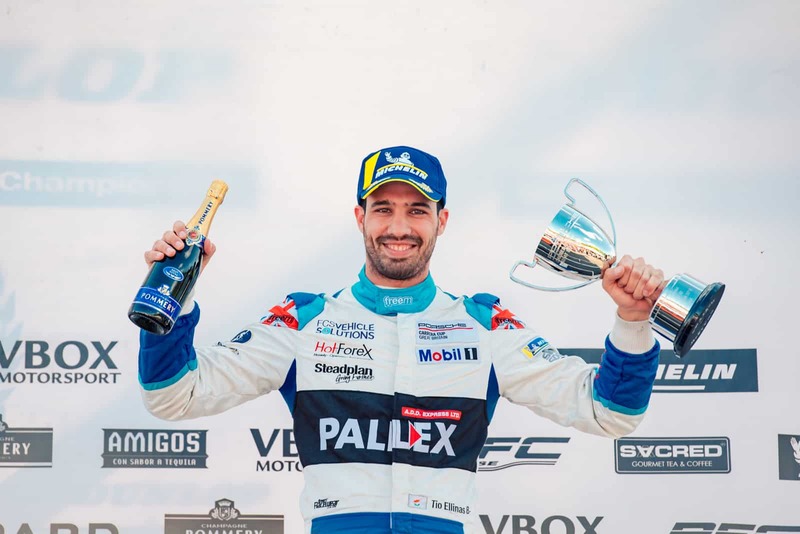 Cypriot Ellinas looked to have secured pole position on Saturday after topping the times towards the end of the qualifying session, but a late flyer by Zamparelli snatched the place by a mere 0.039 of a second. 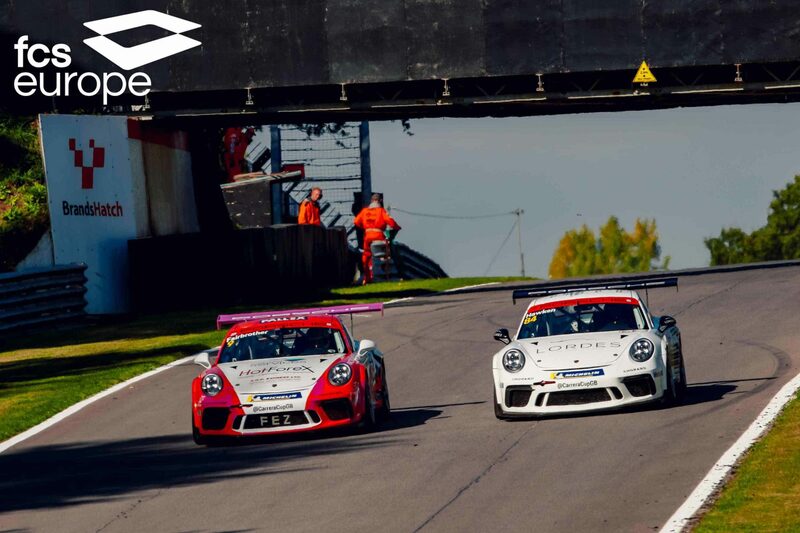 Lining up second on the grid, Tio worked hard in the early stages to fend off a rapid Tom Wrigley, before opening up a gap and taking his 11th podium of the season. 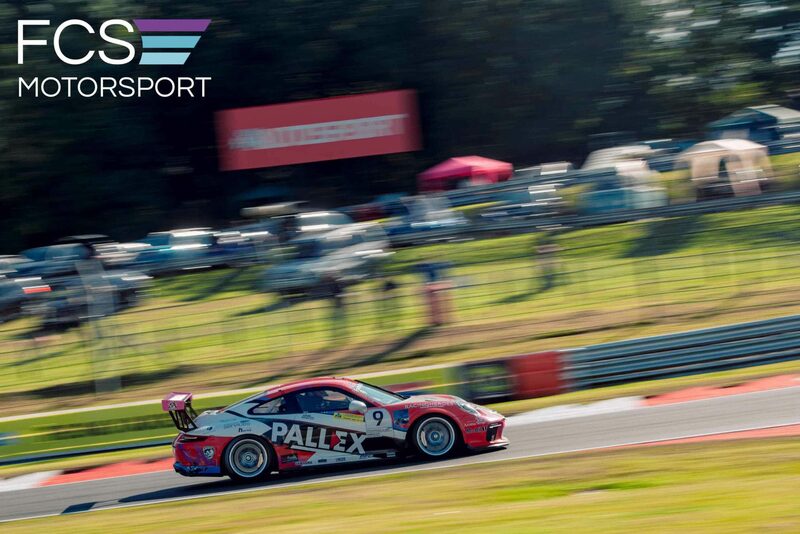 Things looked bright for Tio in race two as he ran third and was challenging George Gamble for second, while Zamparelli was down in sixth, when he was given a five-second time penalty for exceeding track limits. 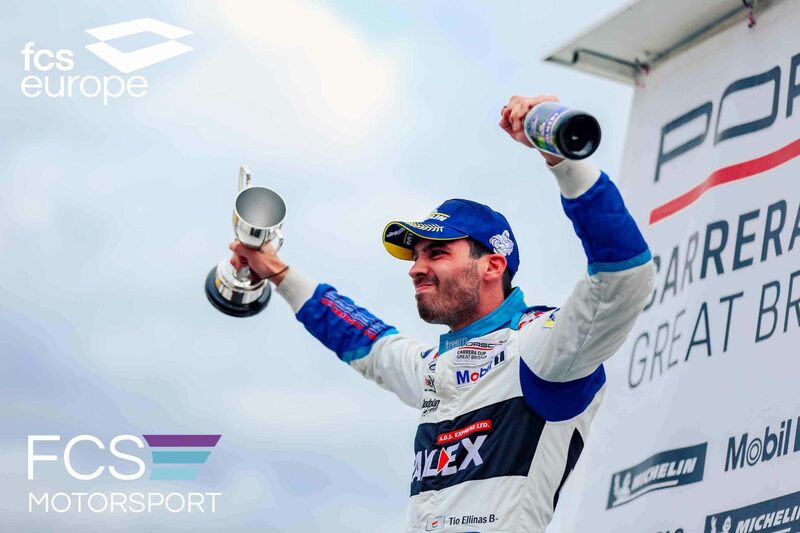 This put him behind his title rival on the timesheets but Tio dug deep and passed Gamble on the road and pulled away. 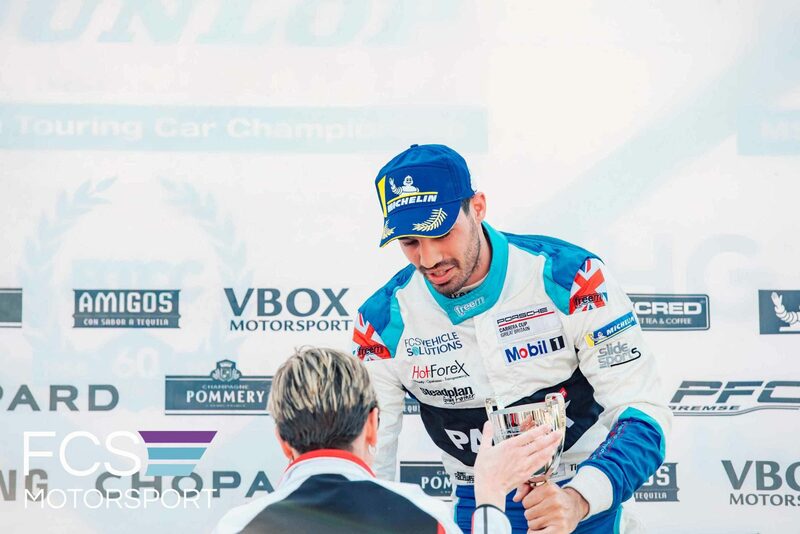 With Zamparelli then slowing on the final lap with a fluid leak, Tio managed to finish ahead and claw back valuable points in the standings. It was a mixed weekend for DVF Racing teammates David Fairbrother and Richard Hawken in the Am category. 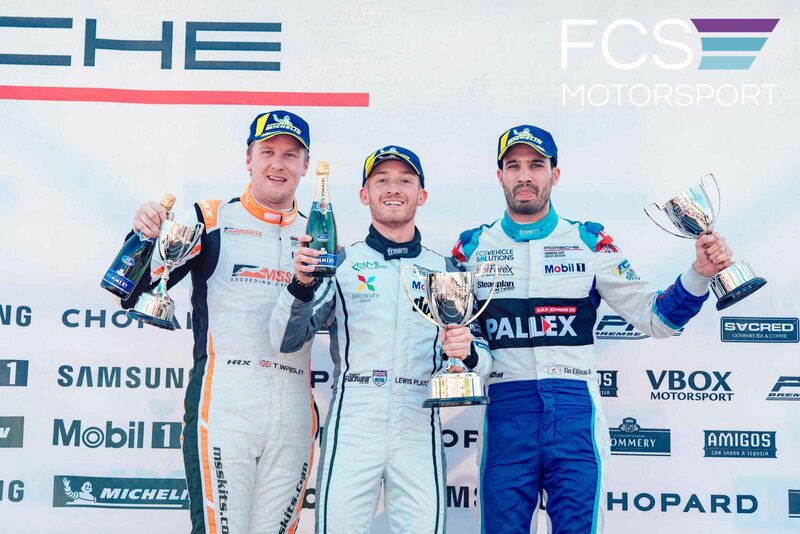 David was given a ten second penalty in race one for a false start, costing him a shot at the podium and followed up with fifth place in race two. Richard was running fourth in race one before being taken out and finishing at the back of the order, hampering his chances in race two, where he finished seventh. 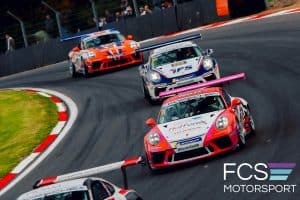 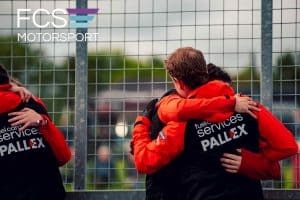 All three drivers will be back for the final two races of the season as the team pushes towards the title at Brands Hatch on its legendary Grand Prix circuit on September 29/30. 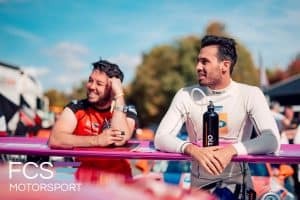 “Tio had impressive pace in qualifying. 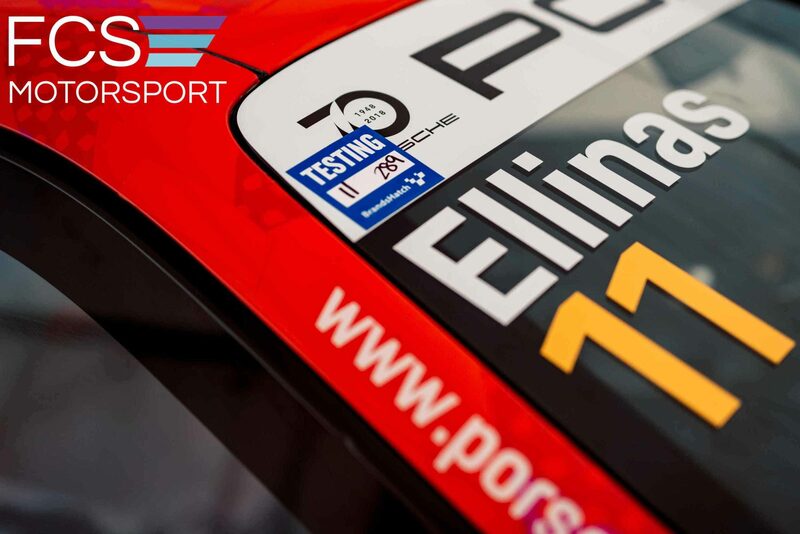 It was interesting to see that we increased our testing pace. 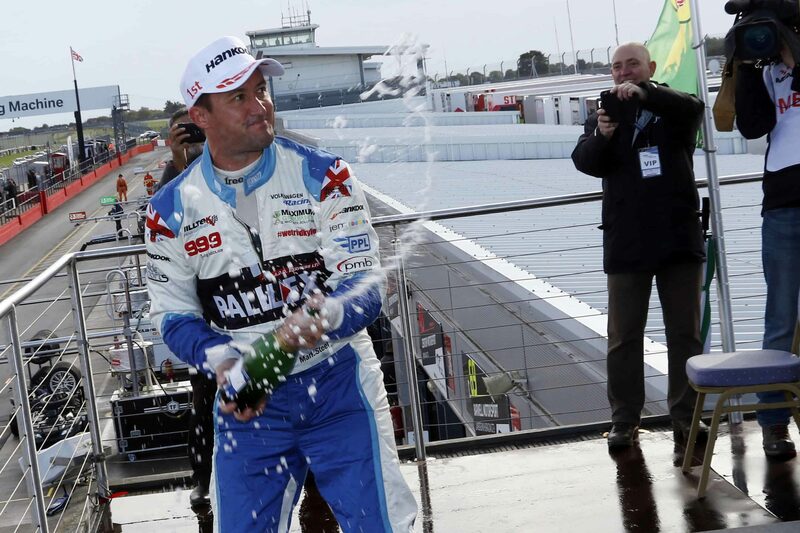 It was a bit cruel to lose pole position by that little, but it is what it is. Race one was pretty good. 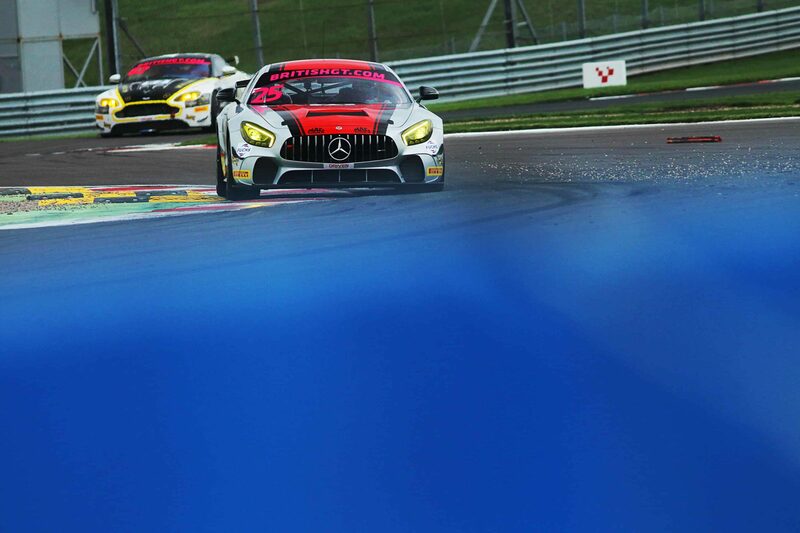 Tio was busy defending and couldn’t attack and Zamaprelli took off into the distance. 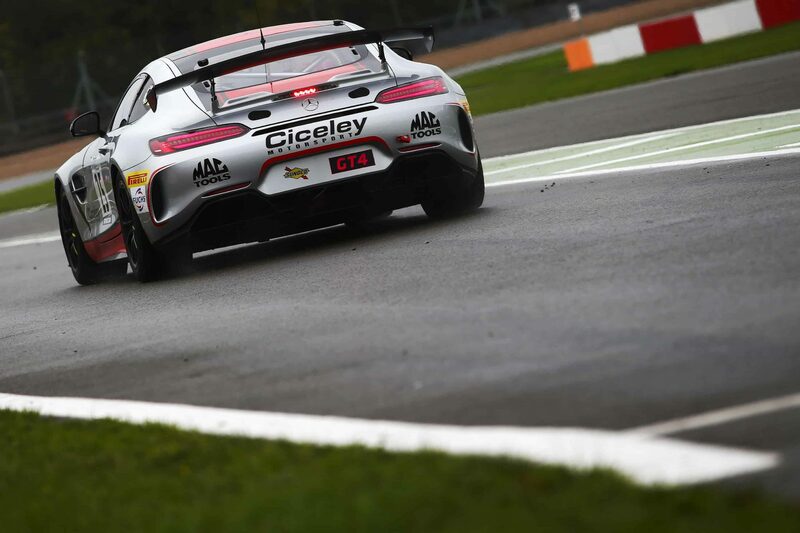 In race two everyone was abusing track limits and it seems like we’ve been singled out. But the performance is good, the championship is not over, and we’ll fight to the bitter end. 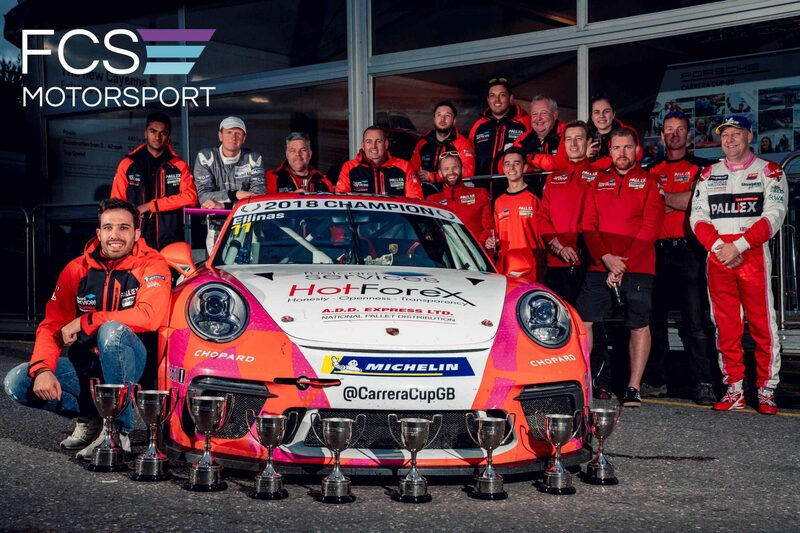 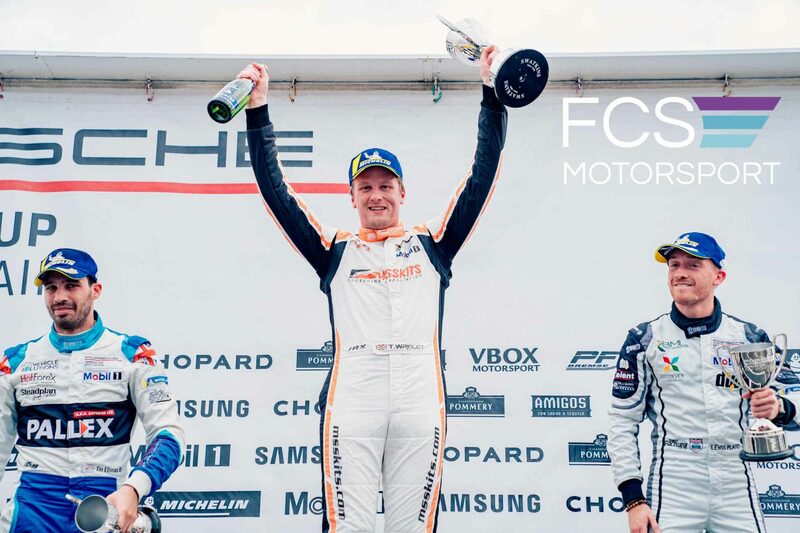 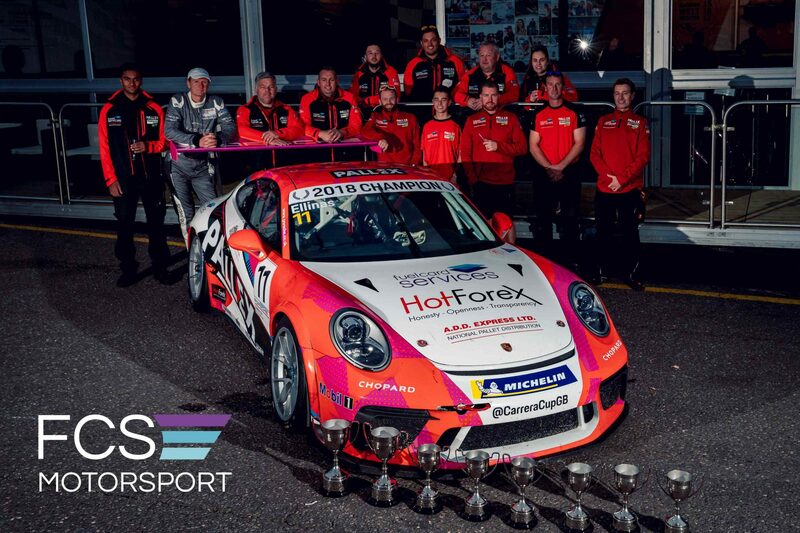 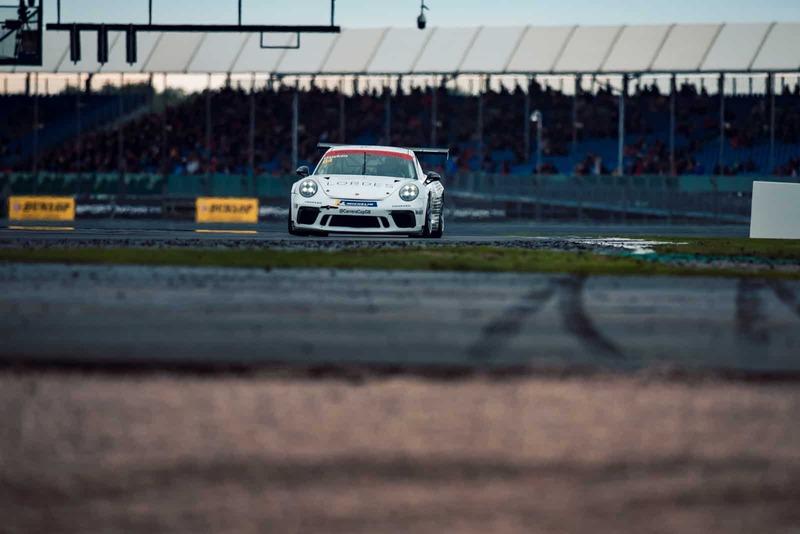 As the Porsche Carrera Cup GB heads into its penultimate weekend at Silverstone in Northamptonshire, DVF Racing has its eyes firmly on the championship title. Pro category driver Tio Ellinas sits just five points back from the lead in the standings with 48 points still available. 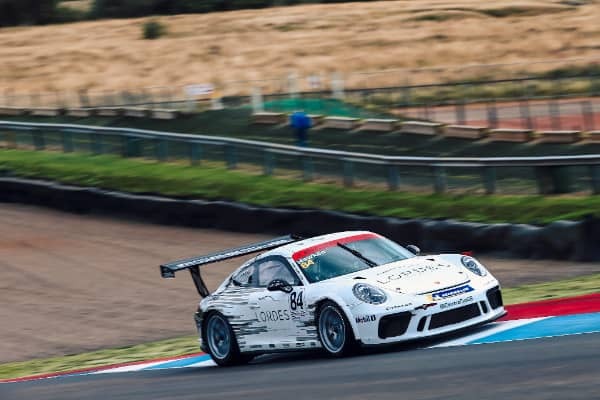 Cypriot Tio performed well in the rain at Knockhill last time out, securing two podium finishes and keeping rival Dino Zamparelli behind him in the second race of the weekend. 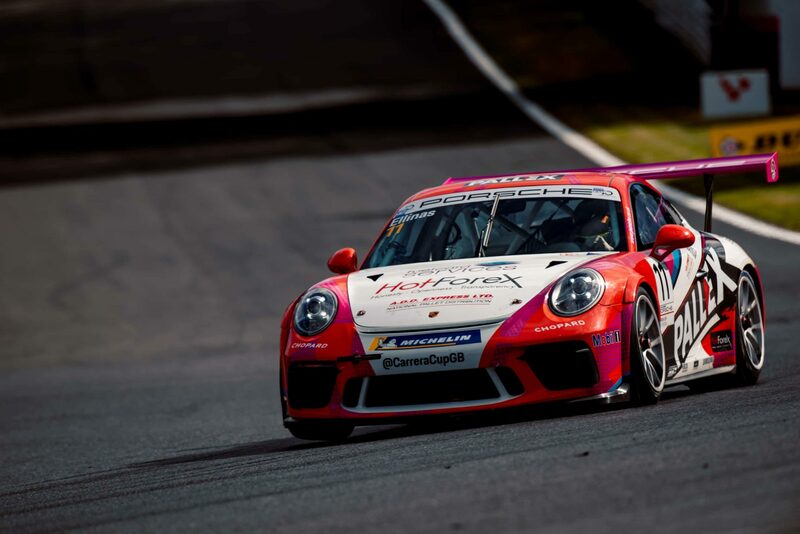 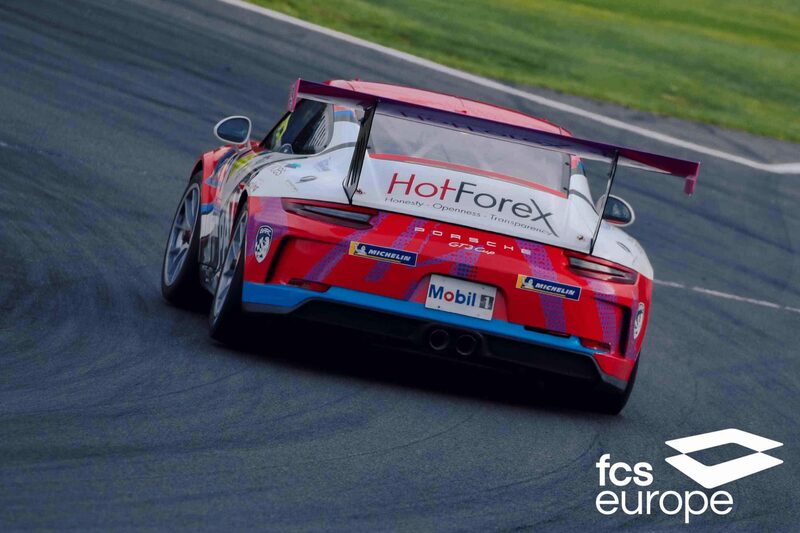 Richard Hawken, competing in his first year in the Carrera Cup, was on the verge of the Am category podium places on his Knockhill debut and will be hoping to carry that form to a circuit he has had success on in his time racing touring cars. 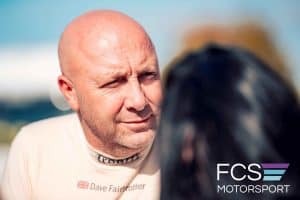 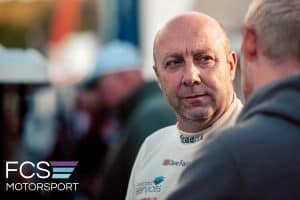 The pair will be re-joined once again by Yorkshireman David Fairbrother as DVF Racing returns to a three-car effort for the final two rounds of the year. 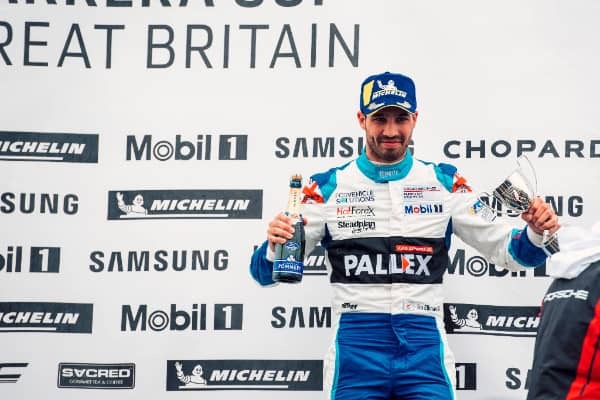 Halifax-based David finished on the podium twice at Silverstone last season and will be working hard to repeat his performance this time out. 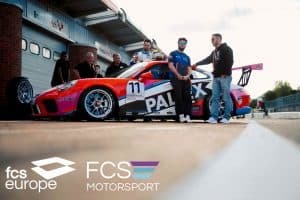 Teams will head to the Northamptonshire circuit on Wednesday 12 September for an official test before undertaking two free practice sessions on Friday 14th. 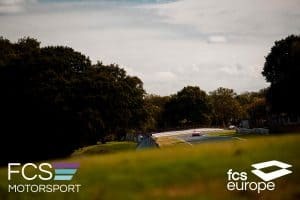 Qualifying takes place at 13:00 on Saturday, with both 28-lap races on Sunday 16 September at 11:15 and 16:30, the latter being broadcast live on ITV4 and ITV Hub.